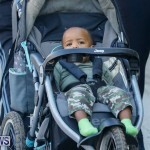 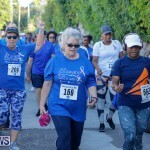 The 30th annual P.A.L.S. 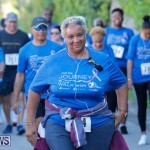 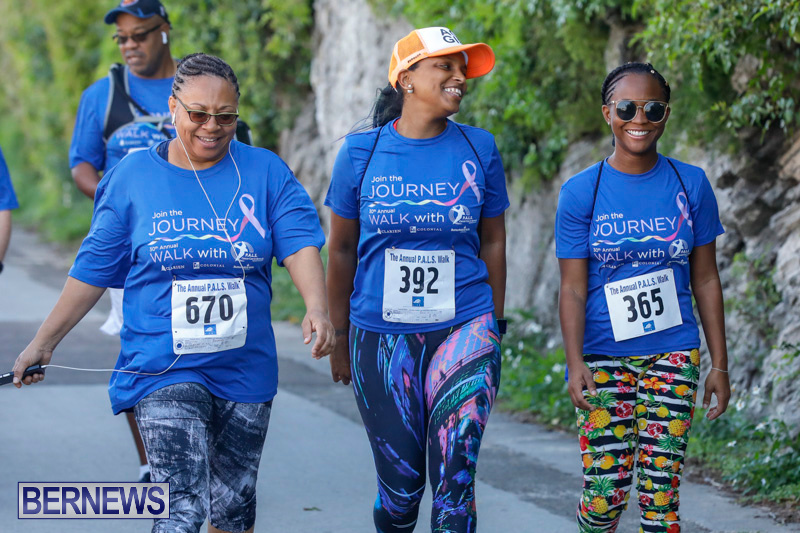 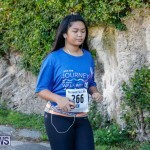 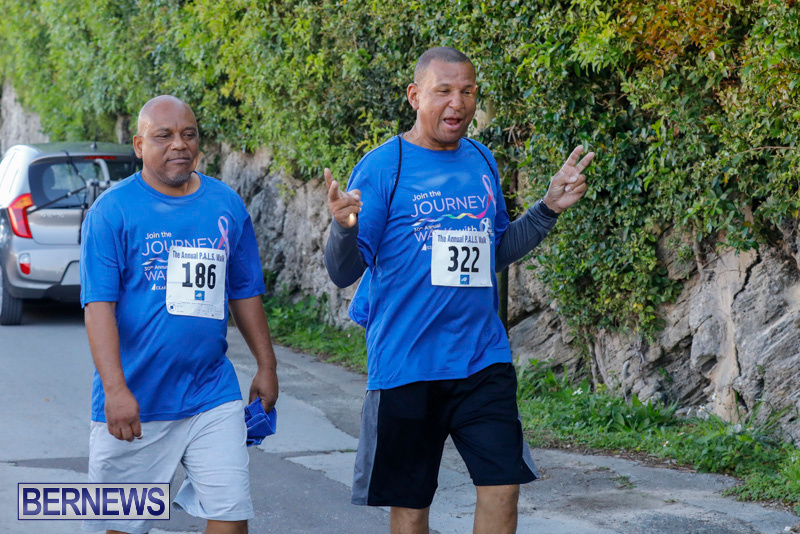 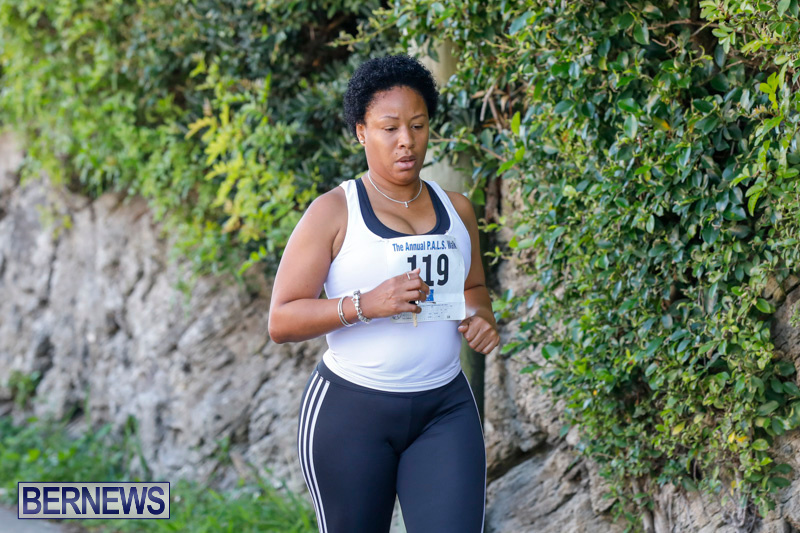 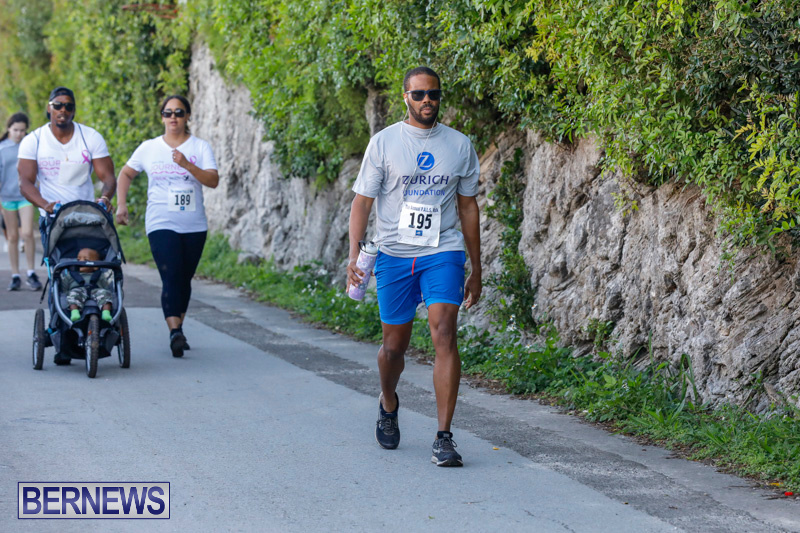 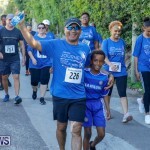 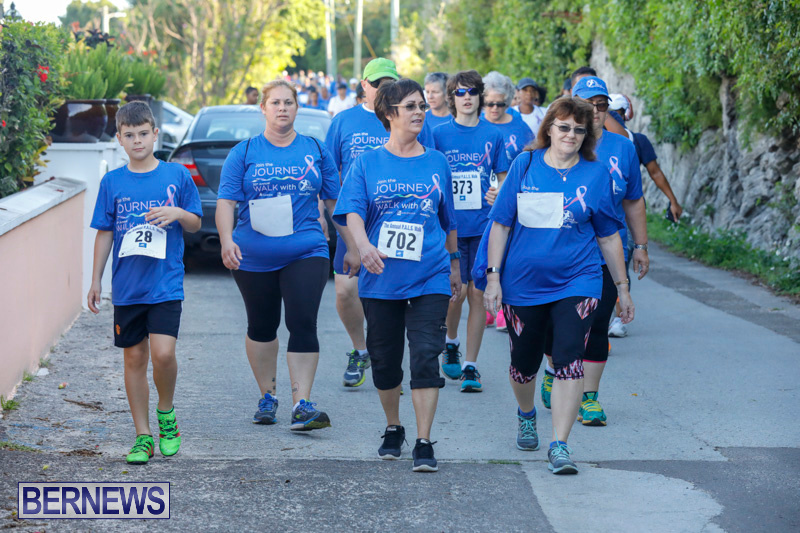 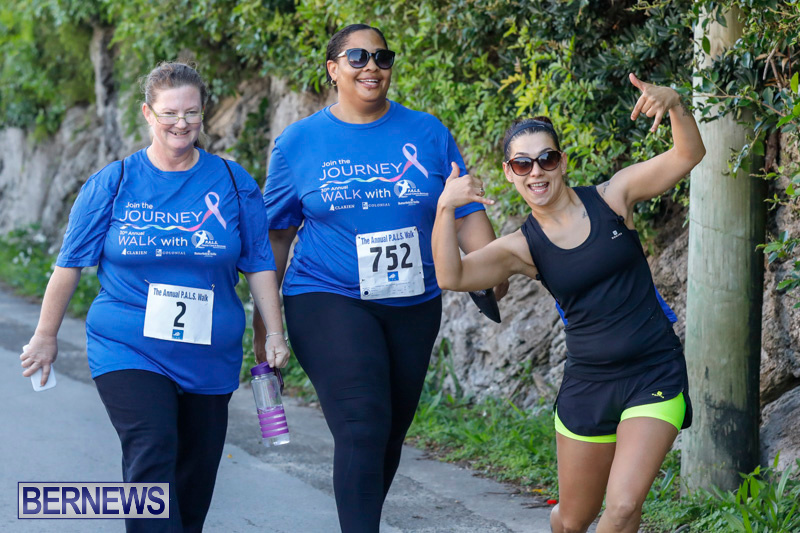 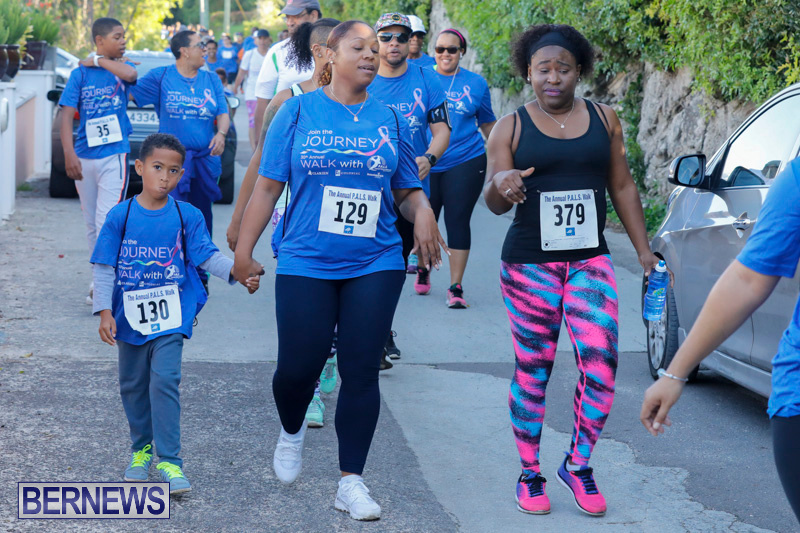 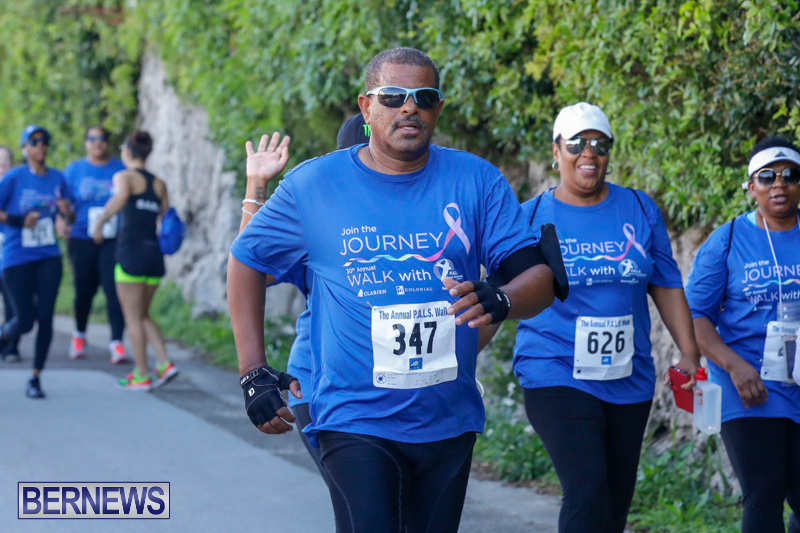 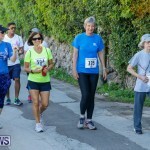 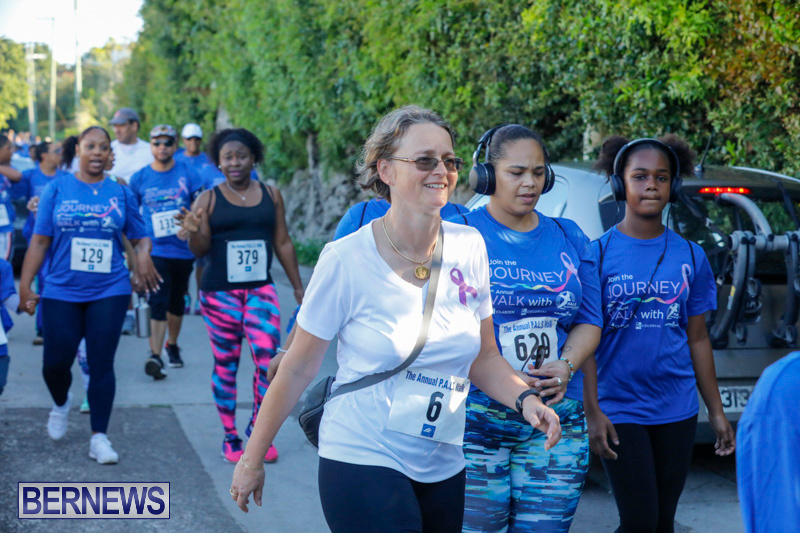 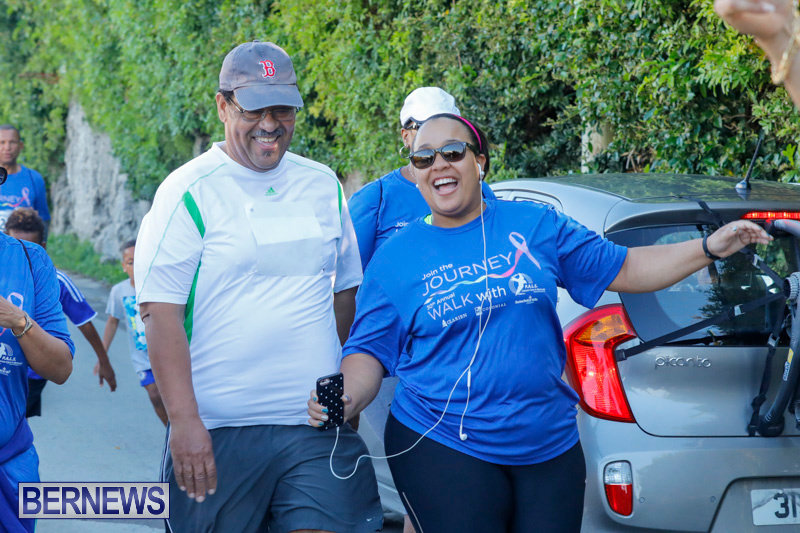 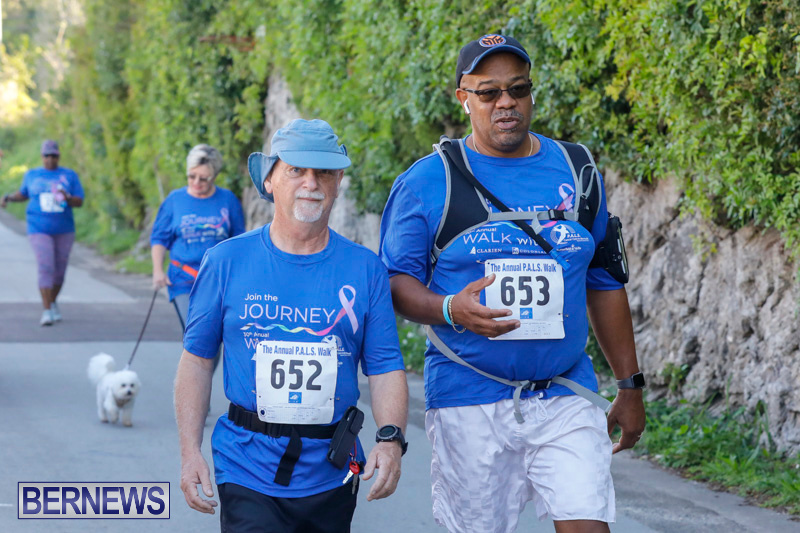 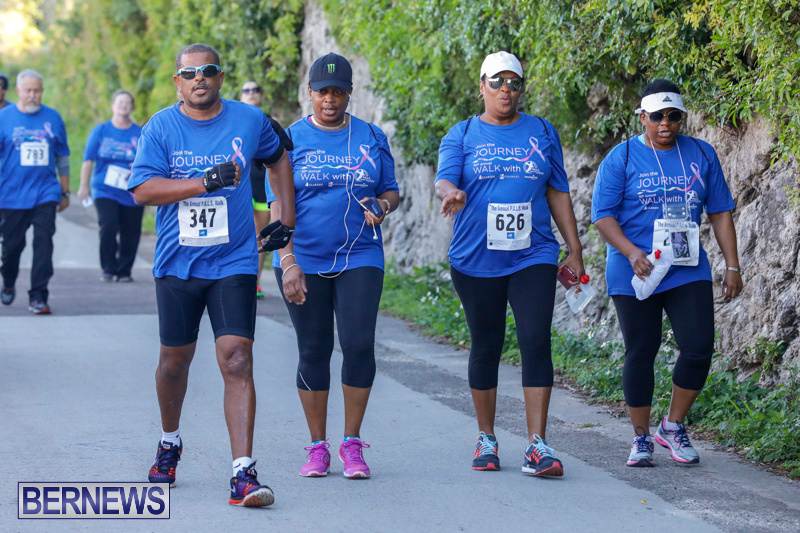 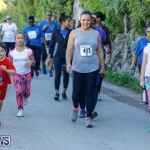 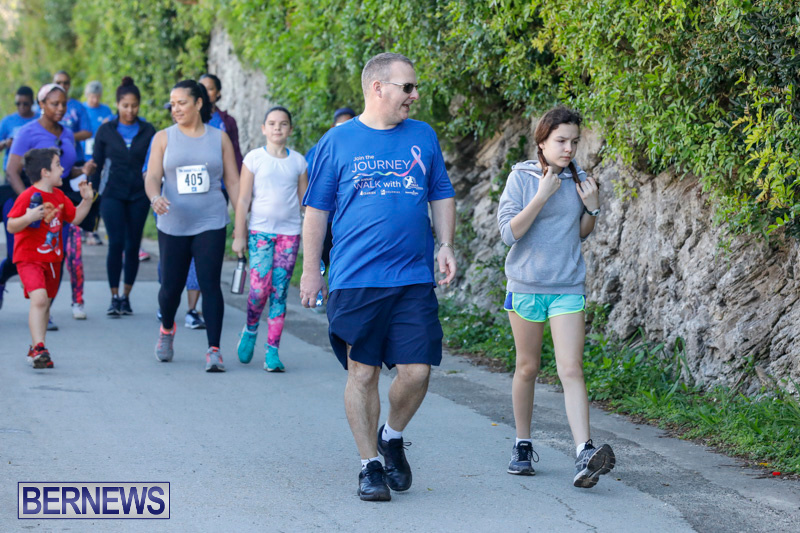 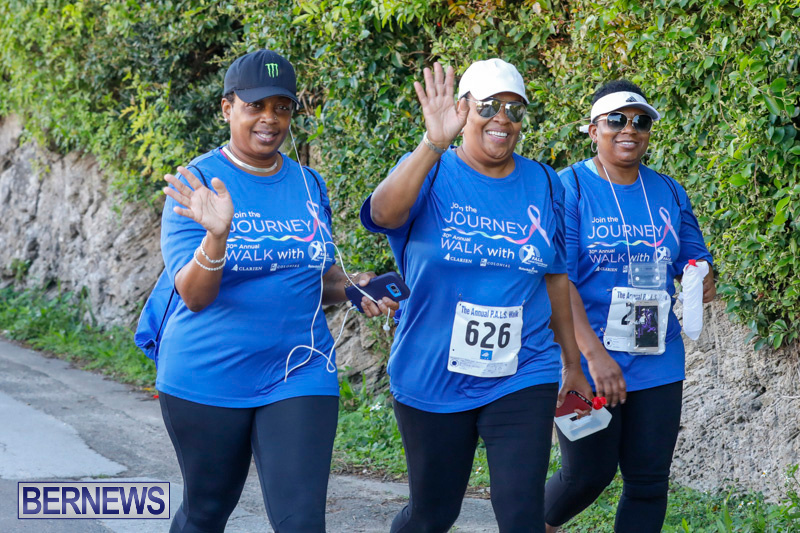 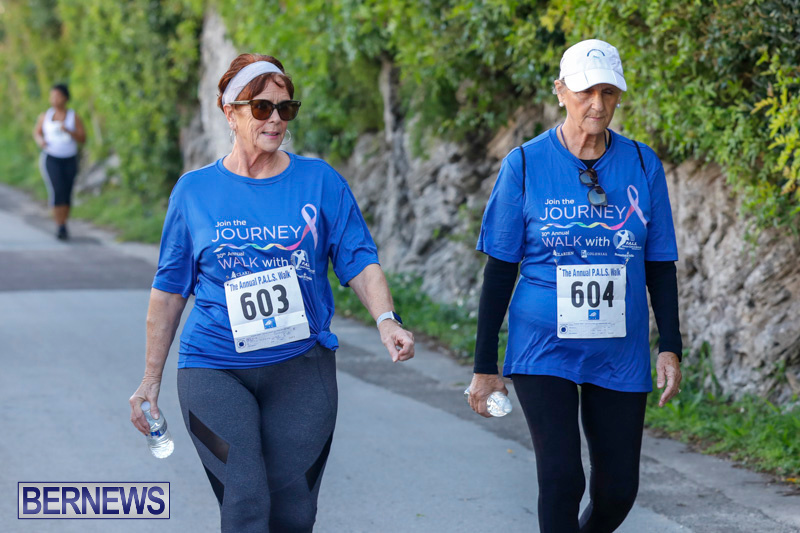 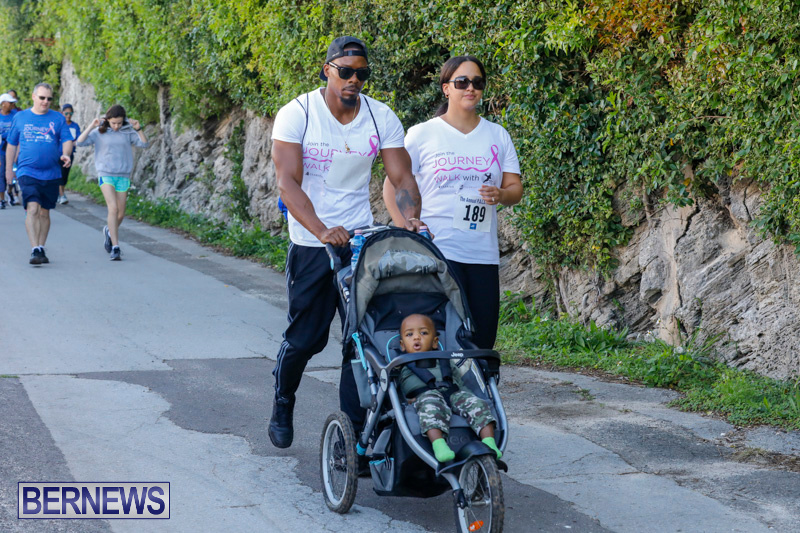 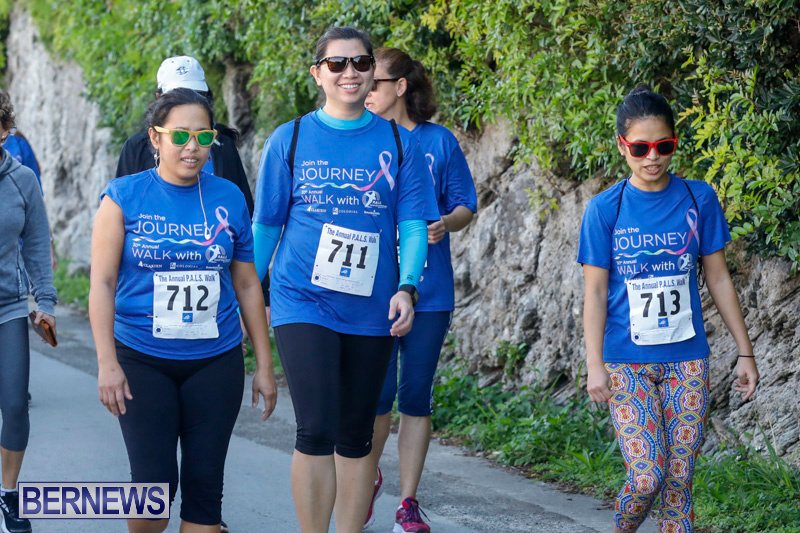 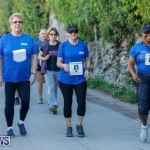 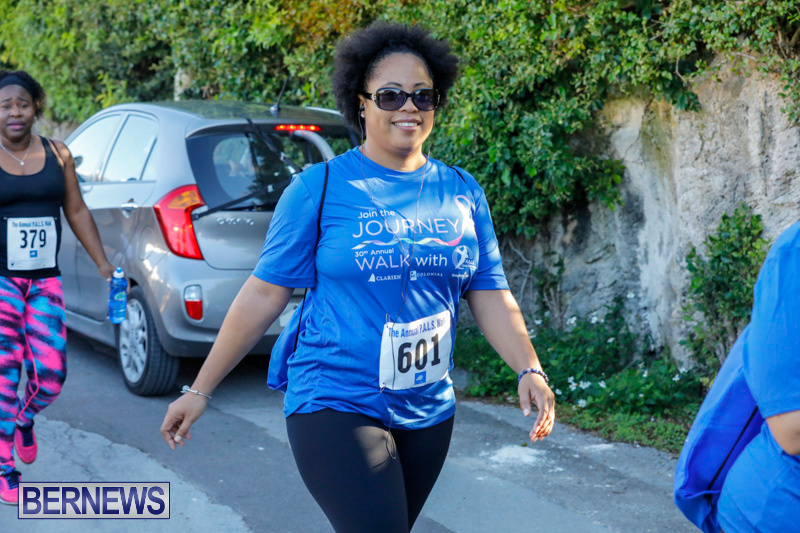 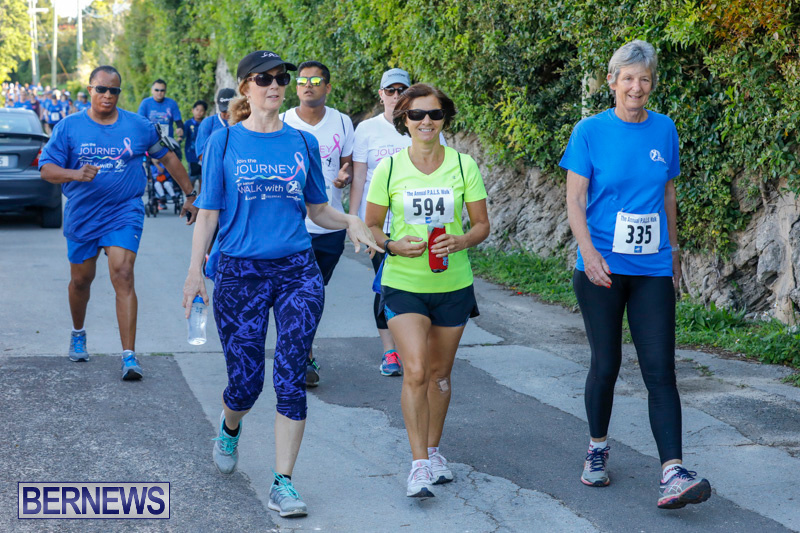 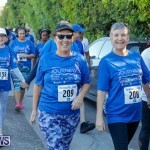 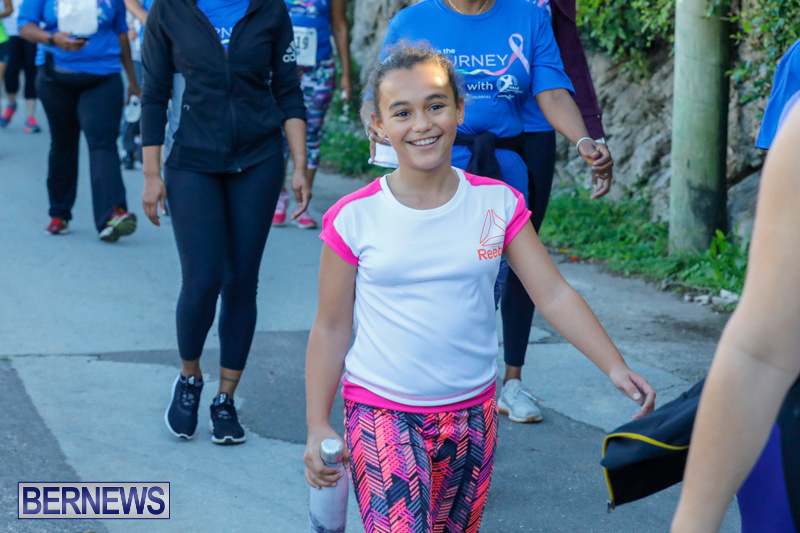 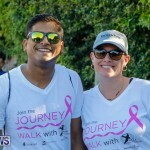 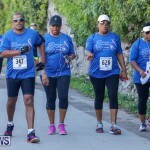 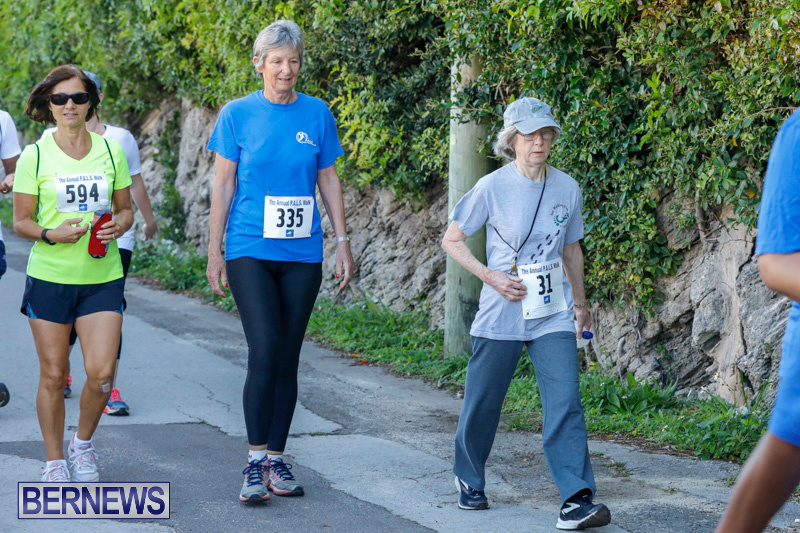 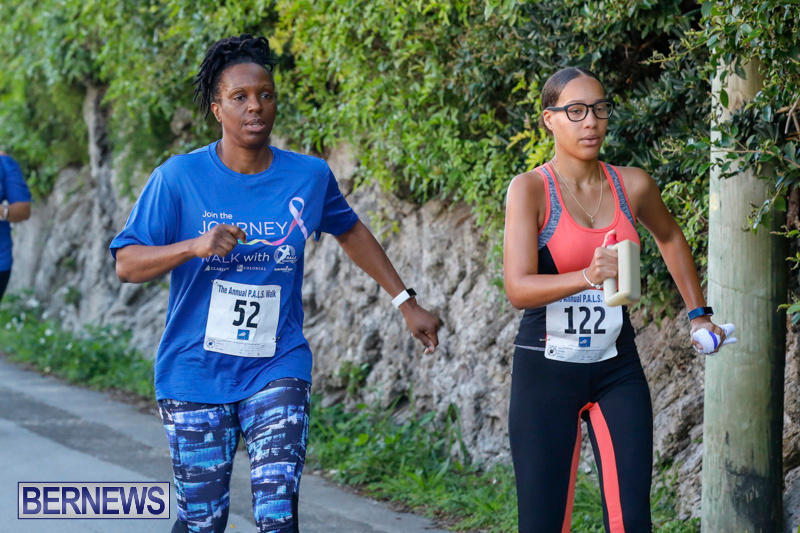 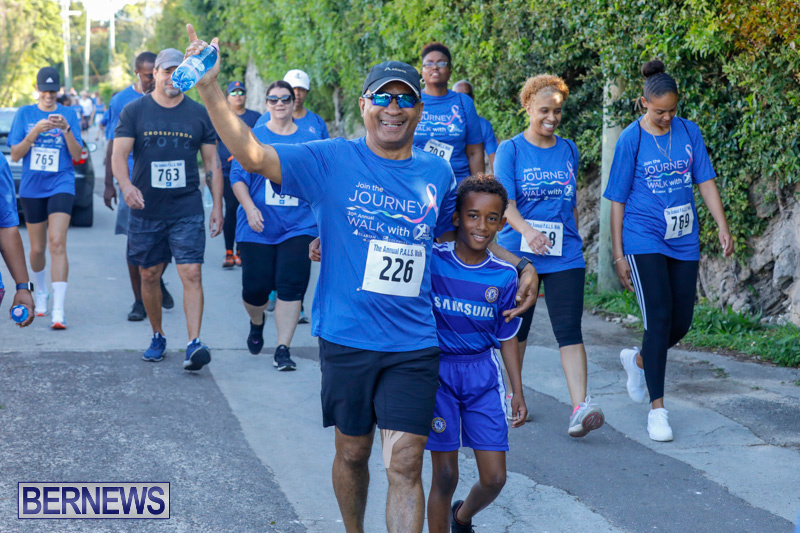 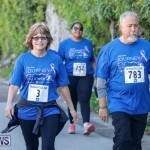 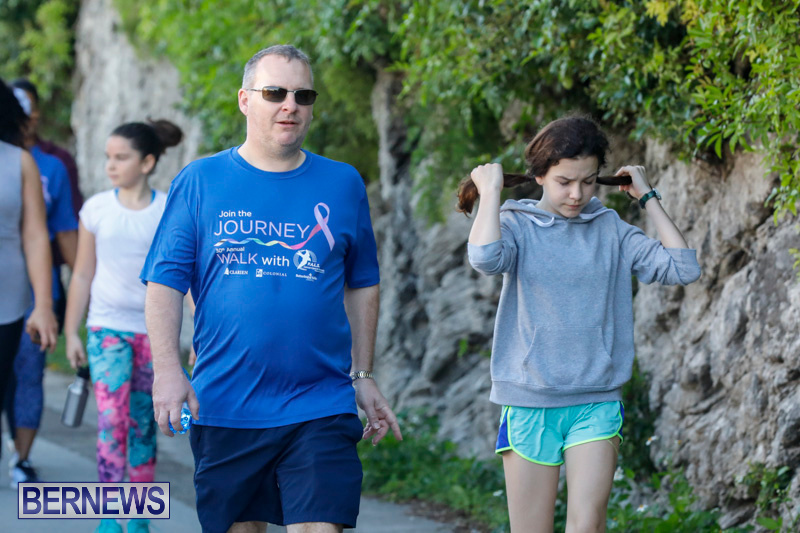 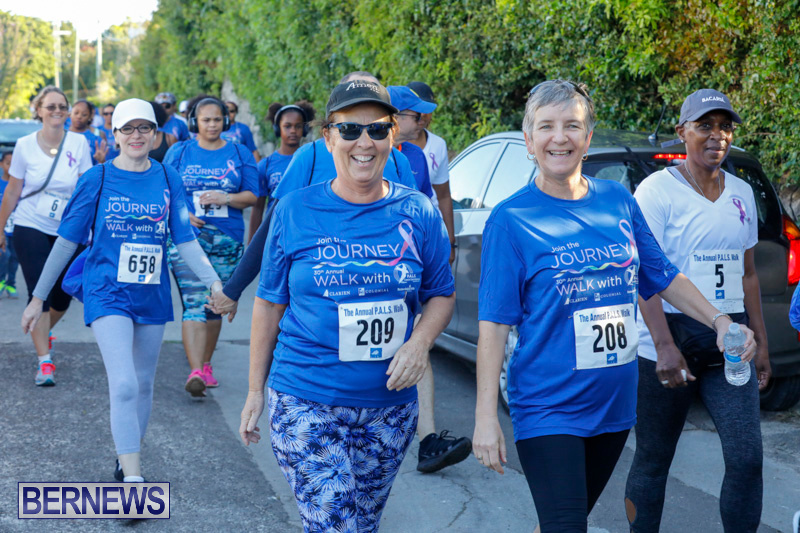 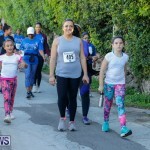 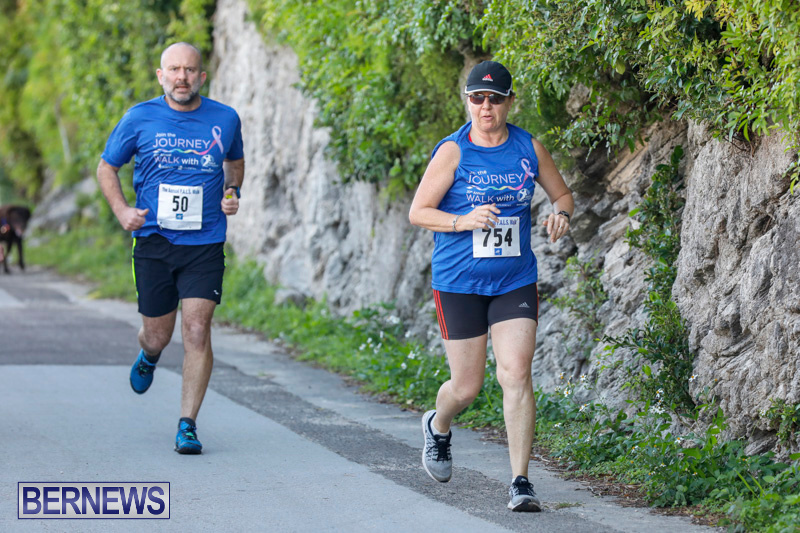 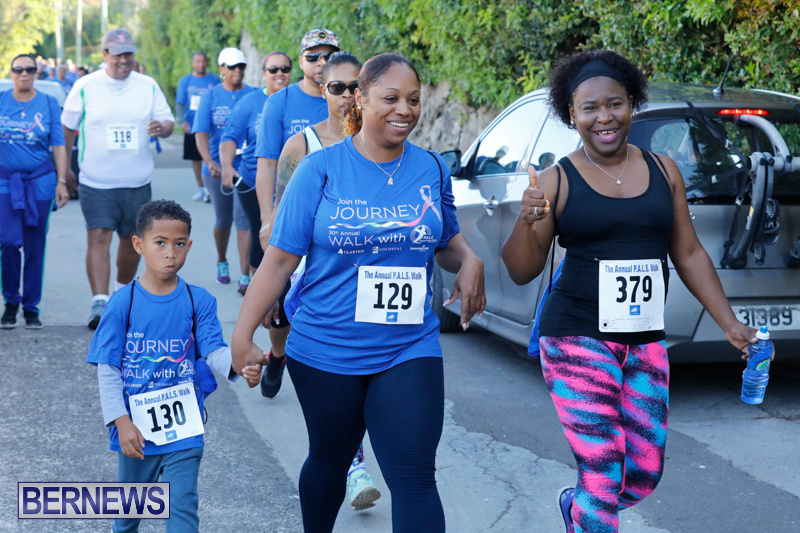 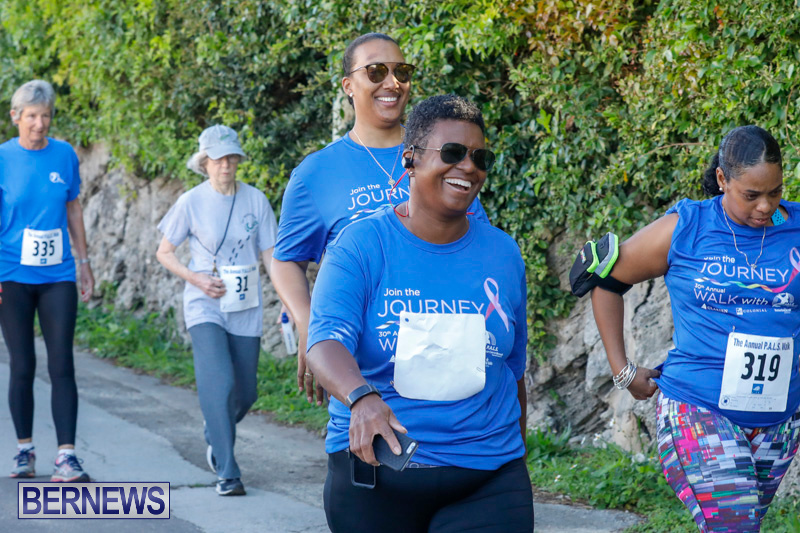 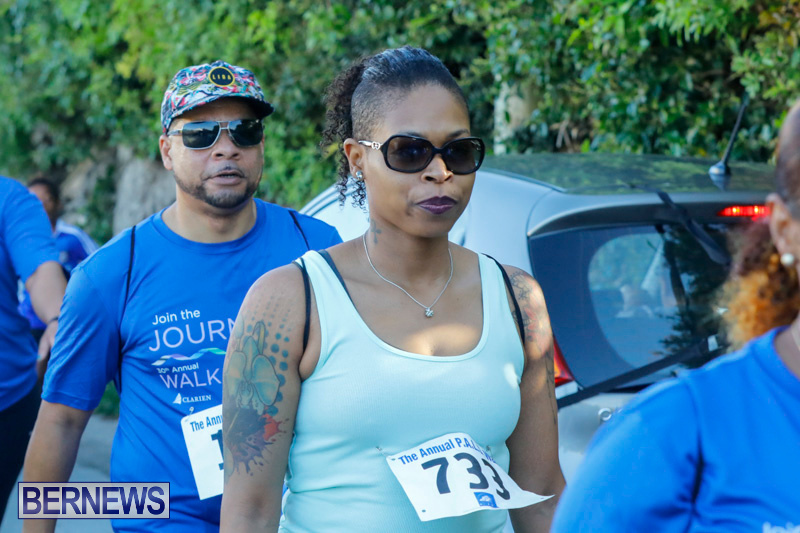 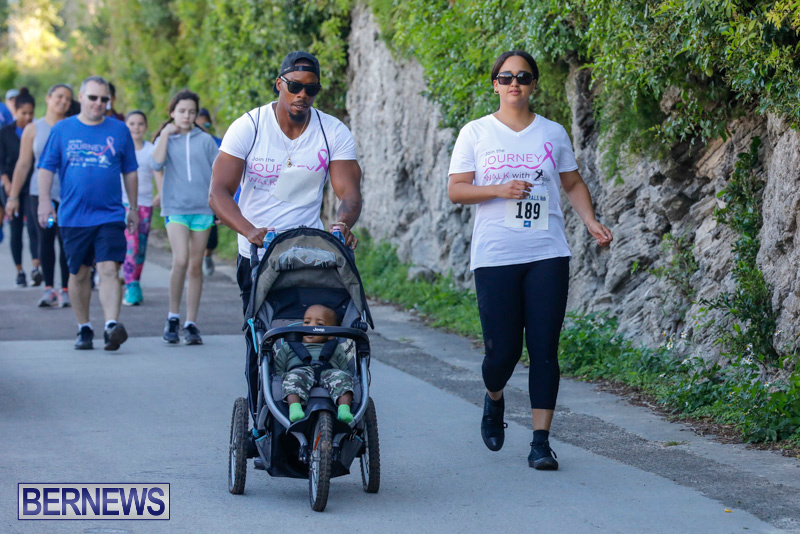 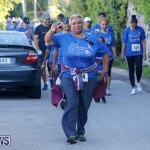 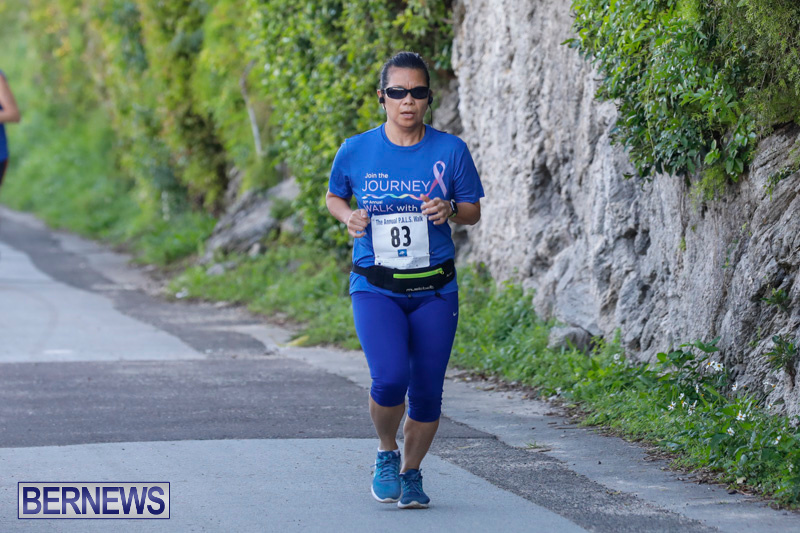 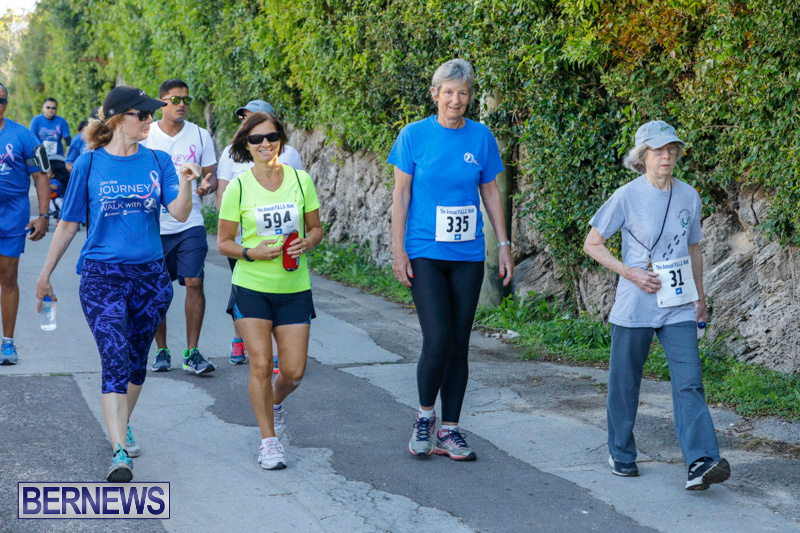 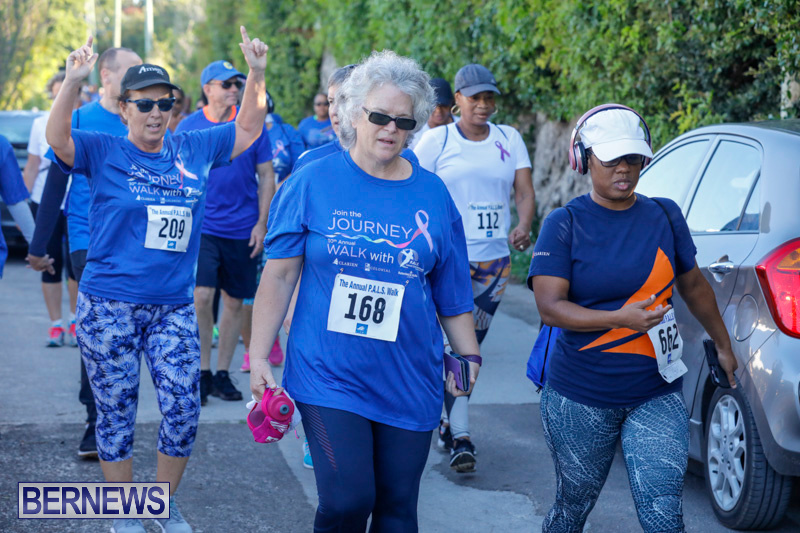 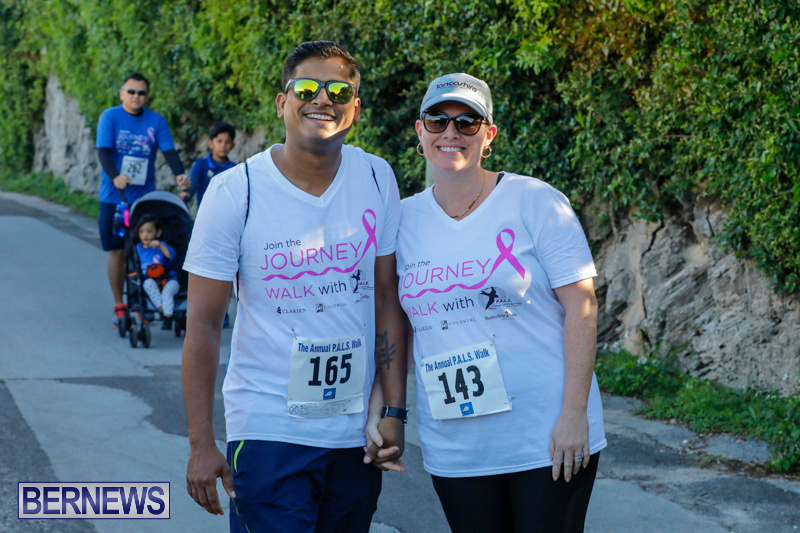 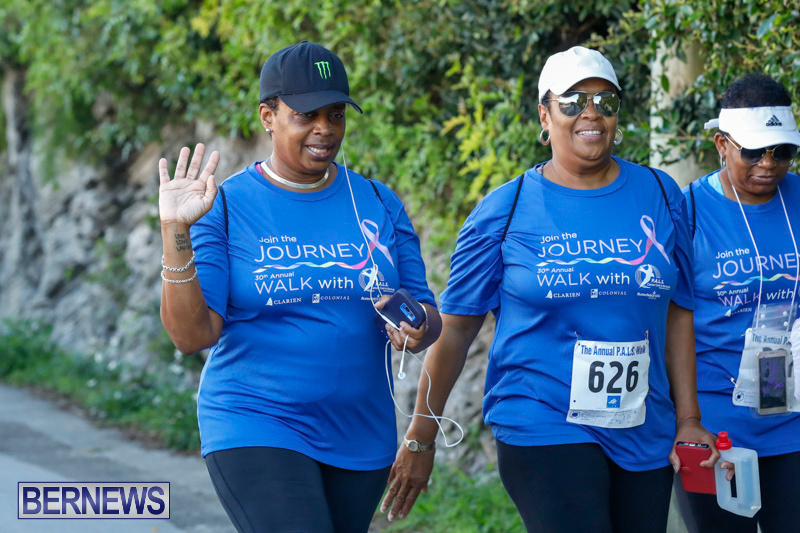 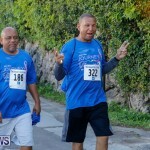 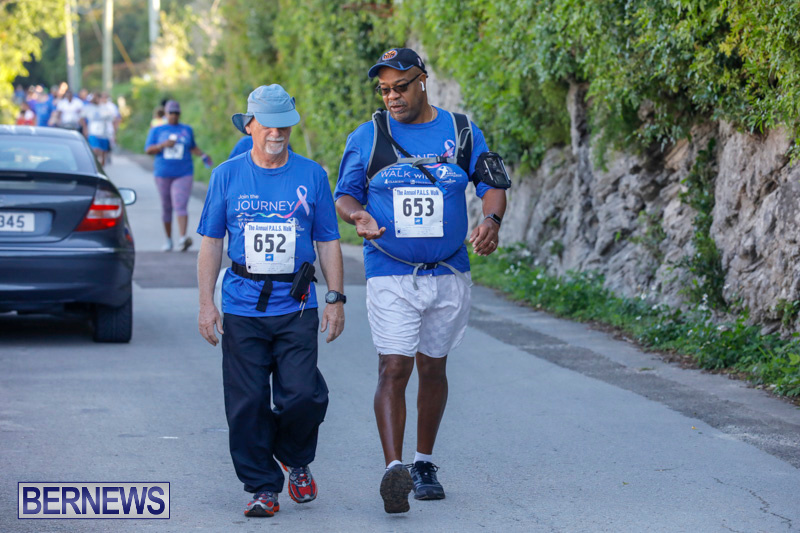 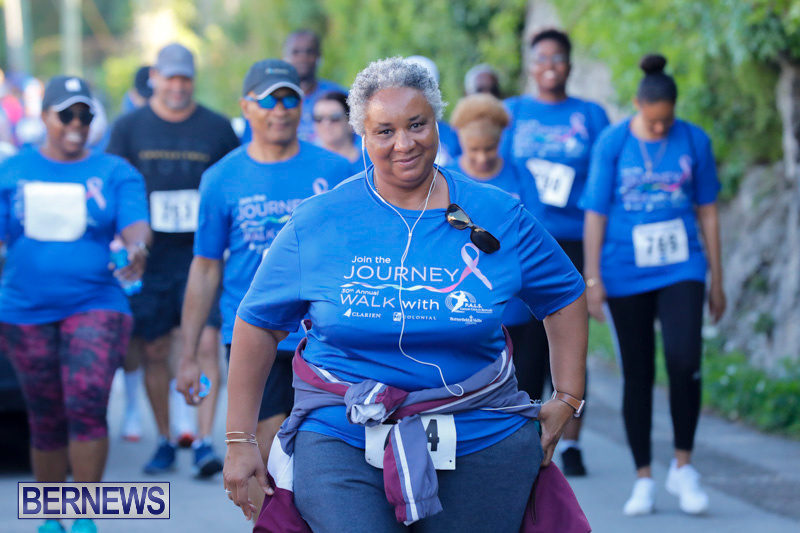 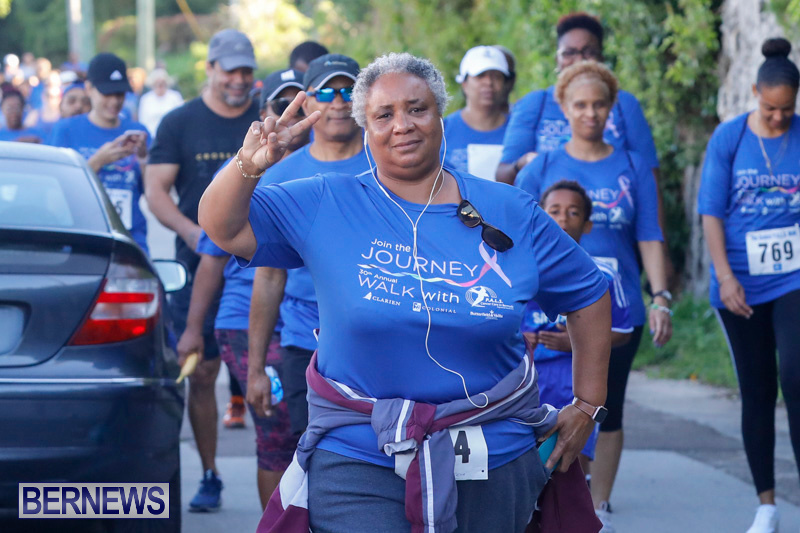 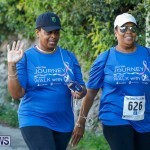 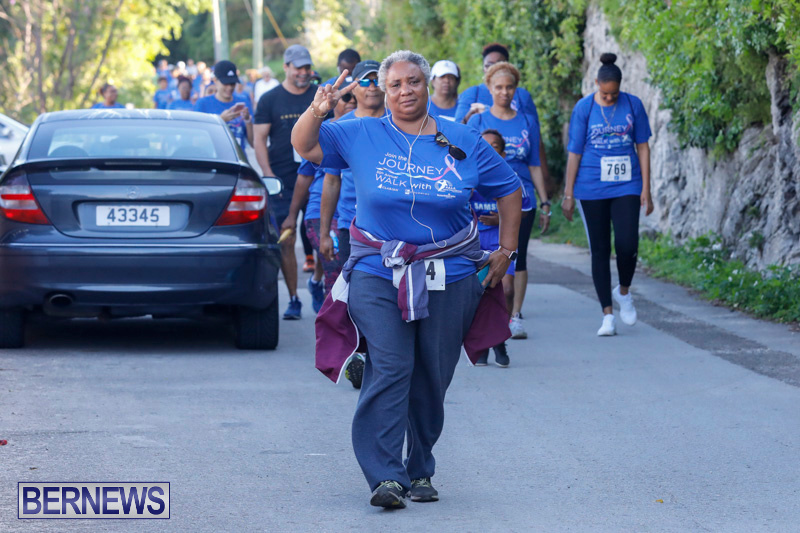 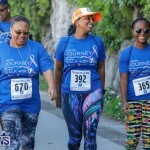 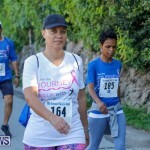 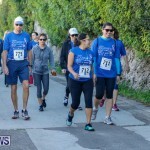 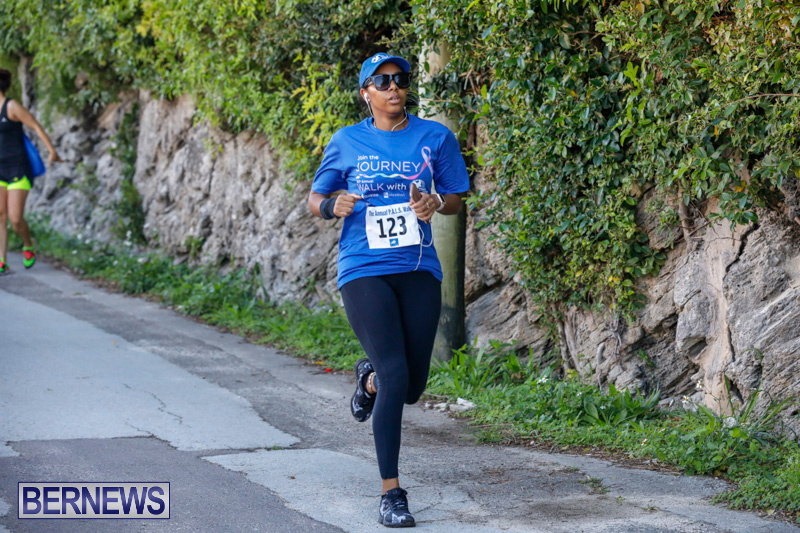 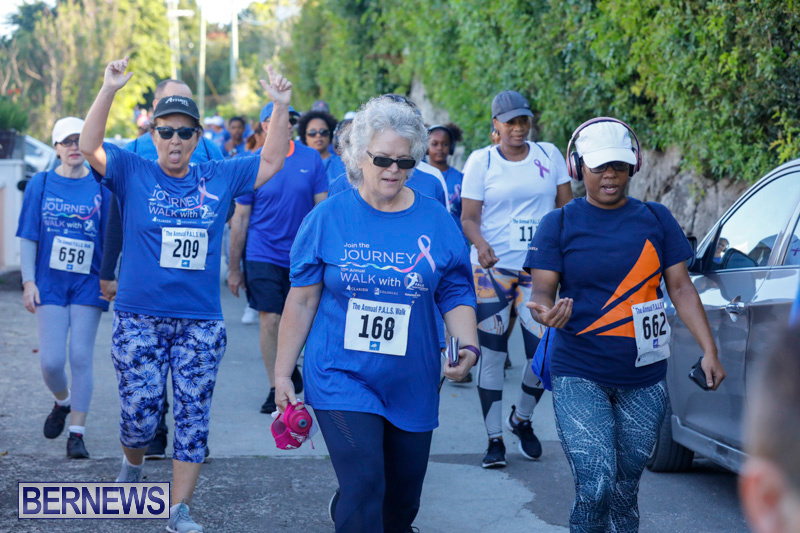 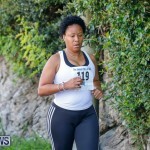 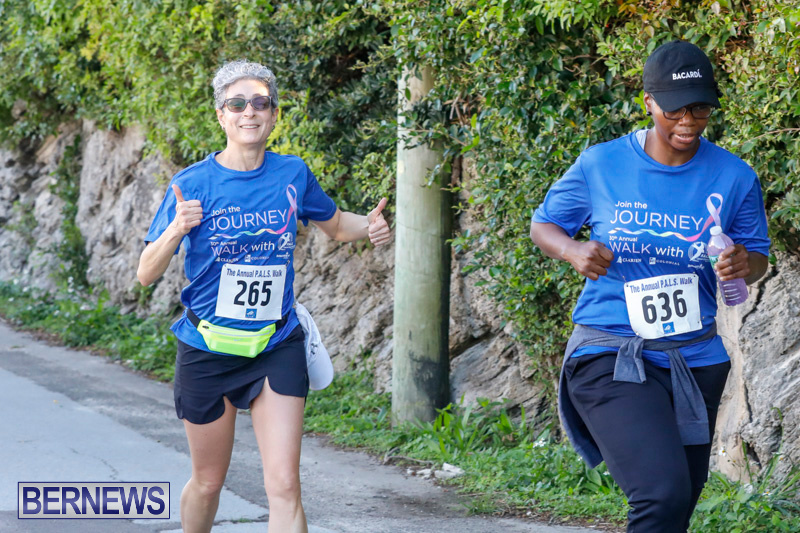 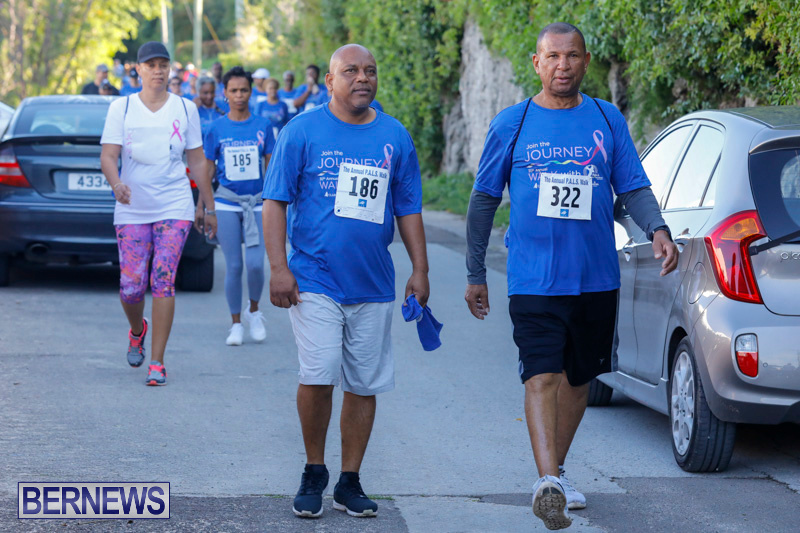 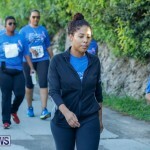 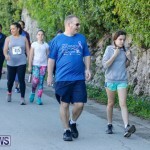 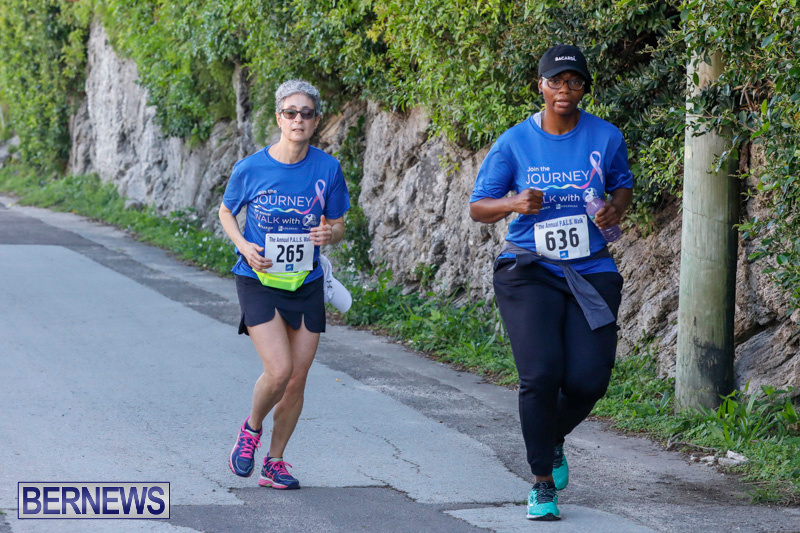 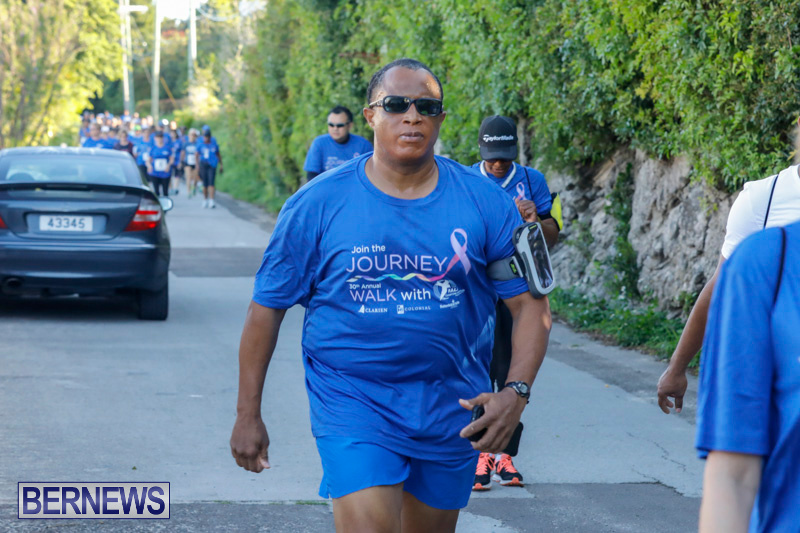 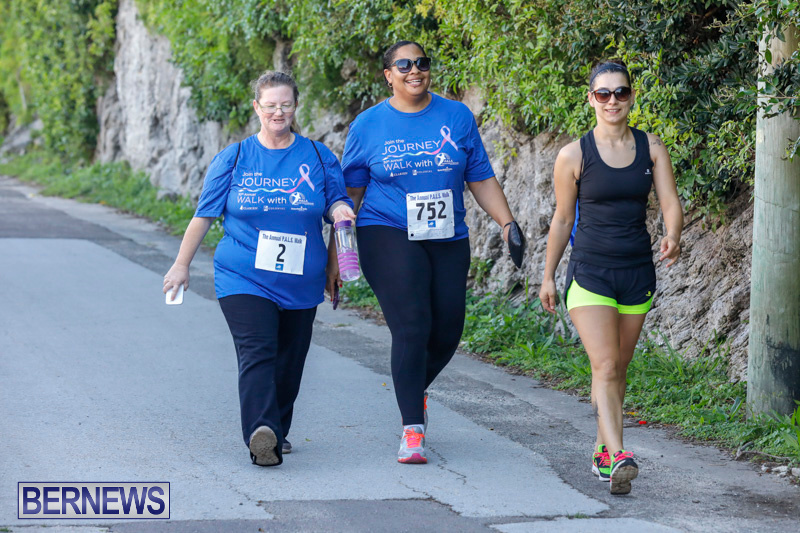 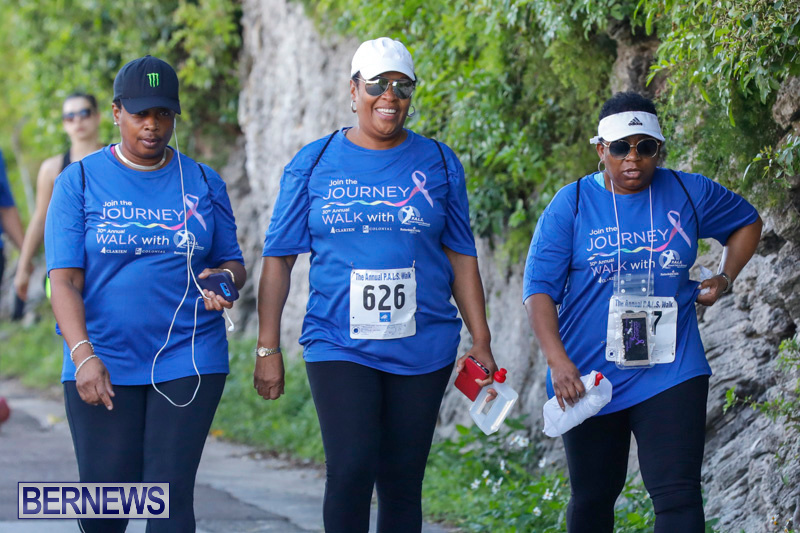 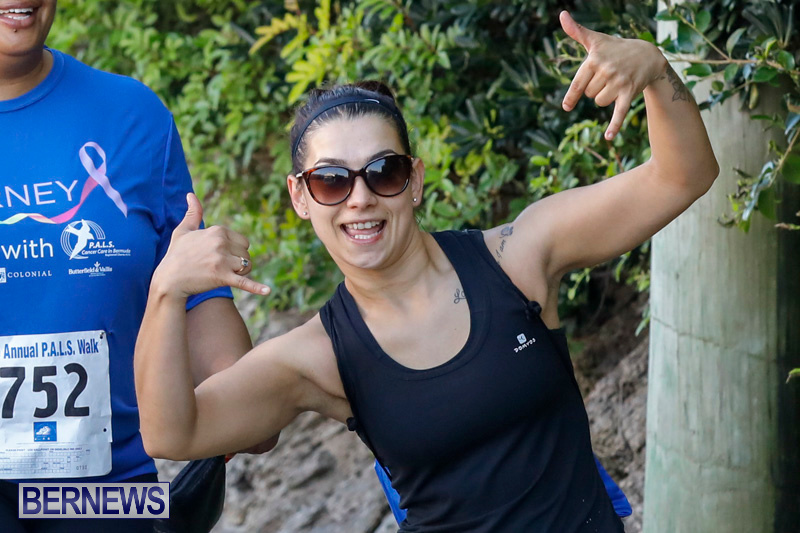 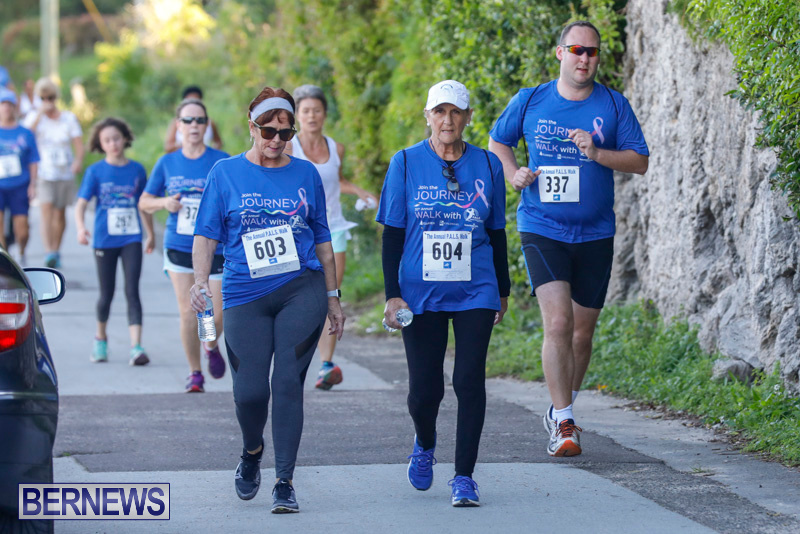 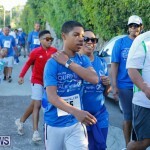 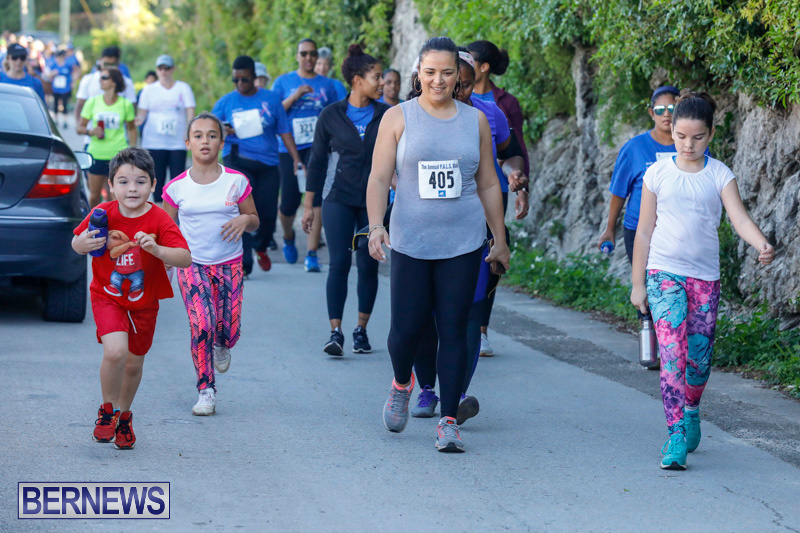 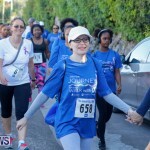 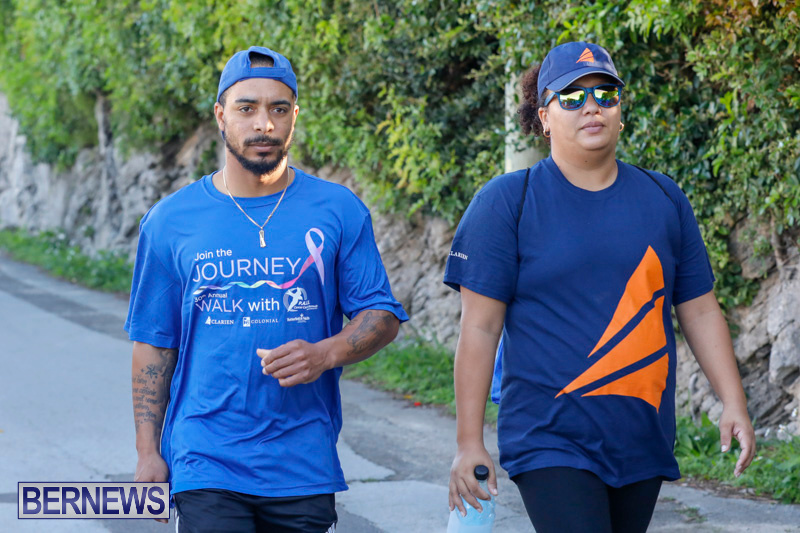 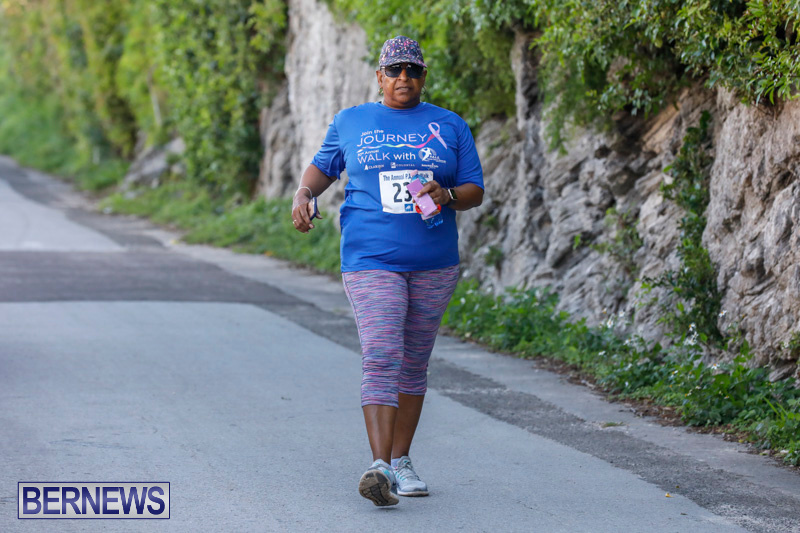 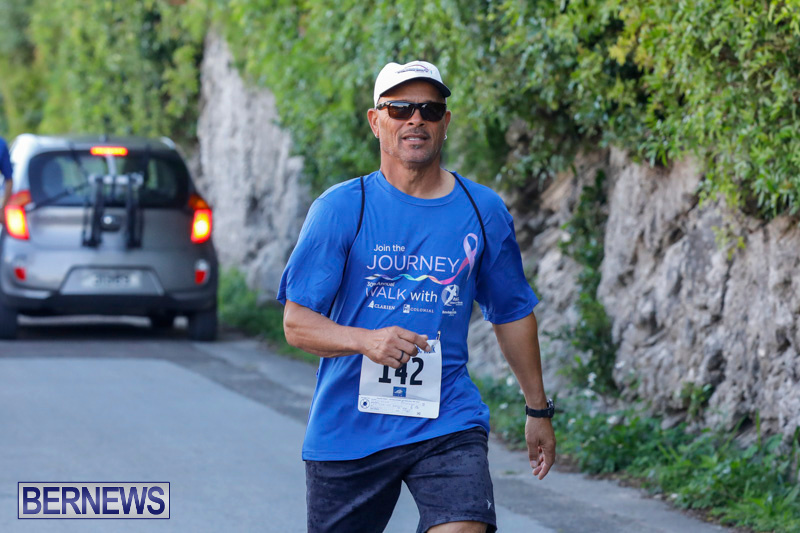 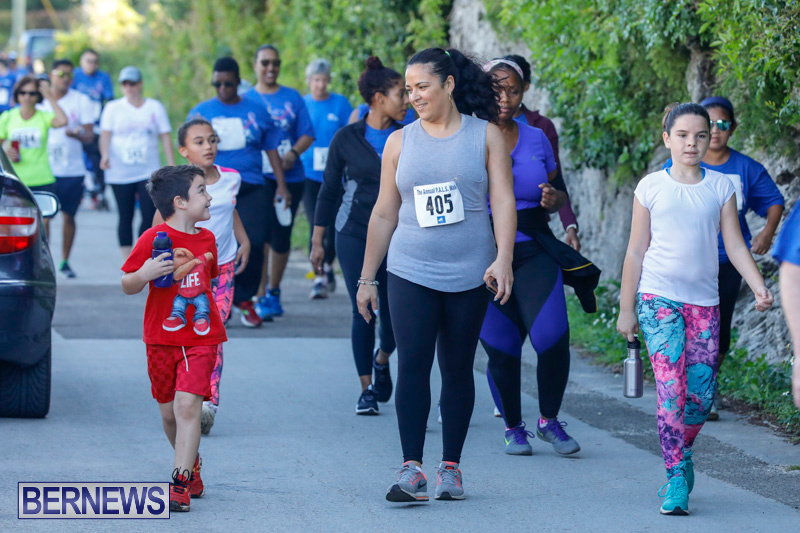 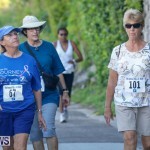 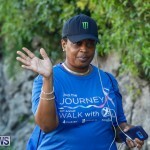 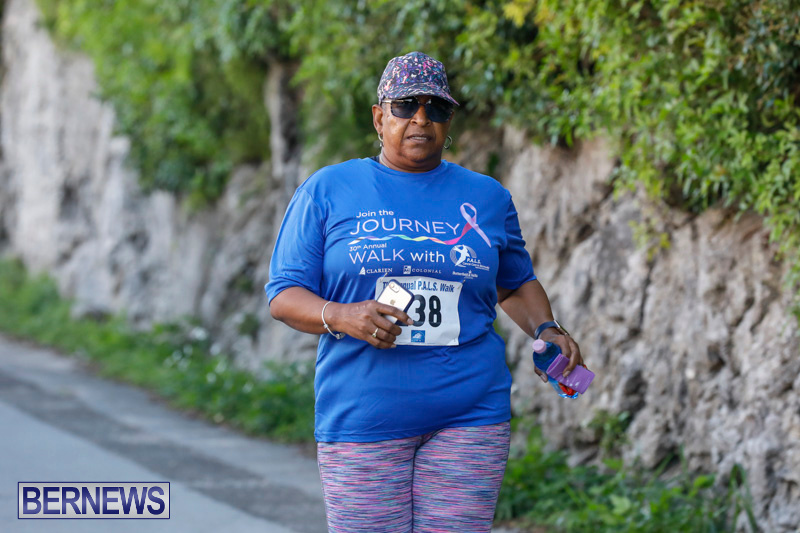 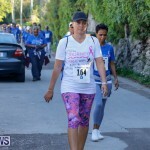 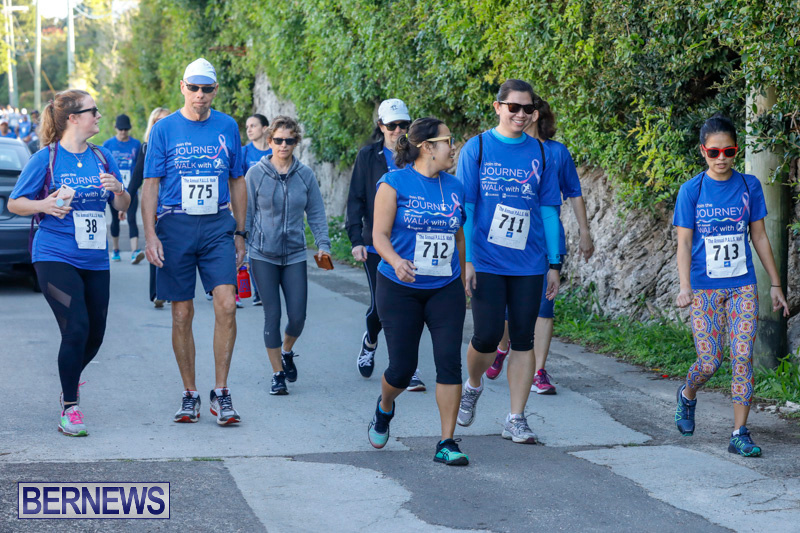 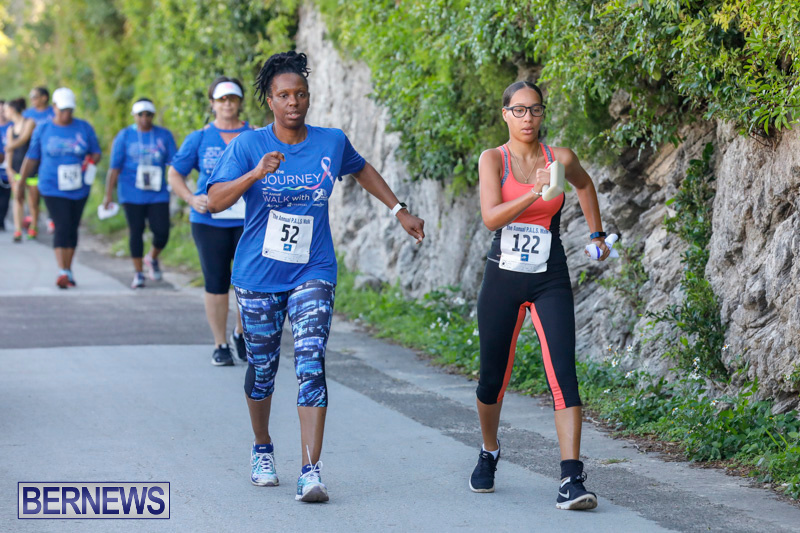 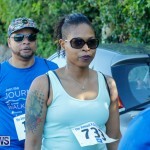 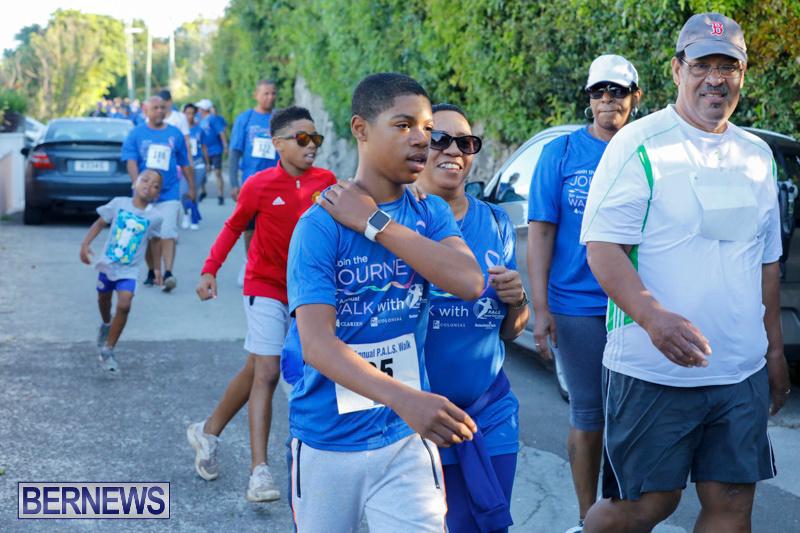 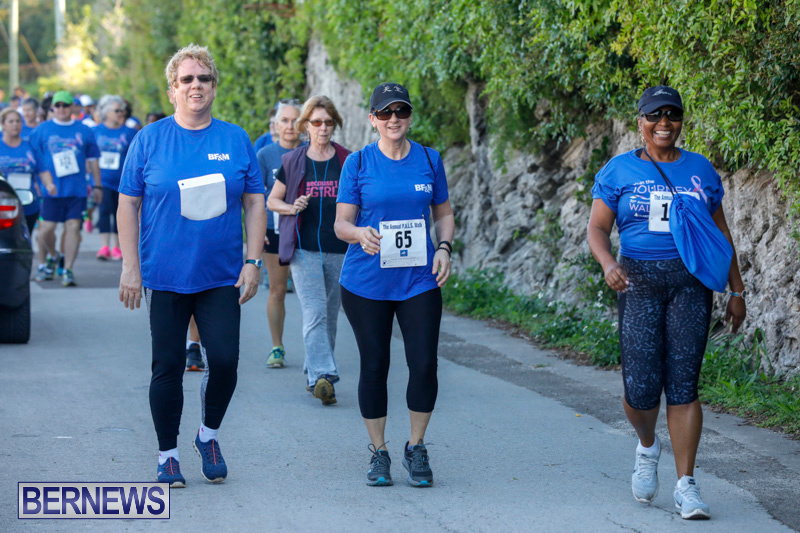 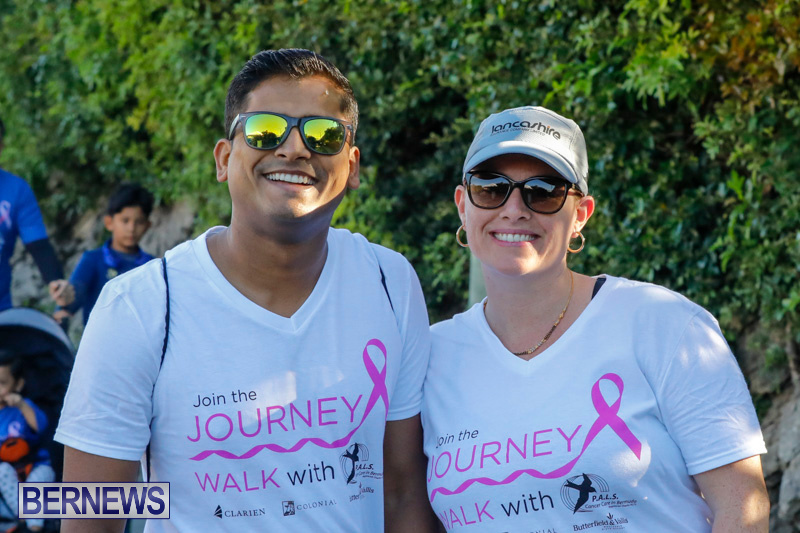 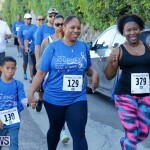 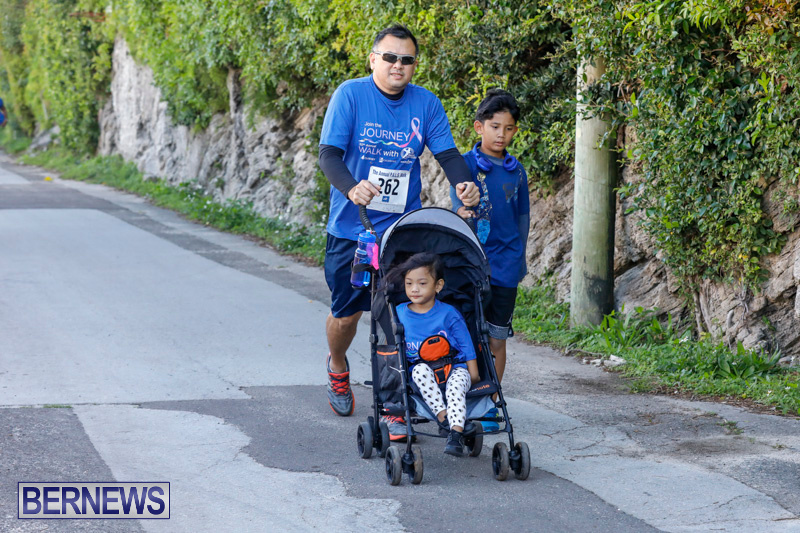 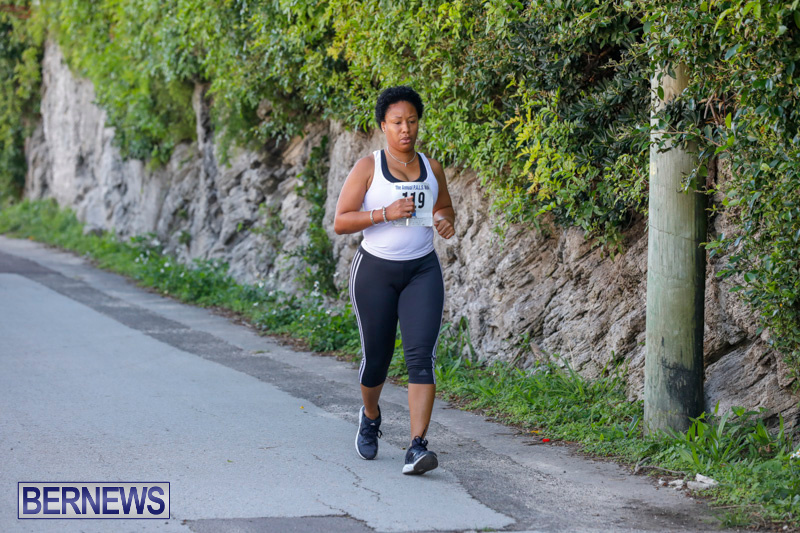 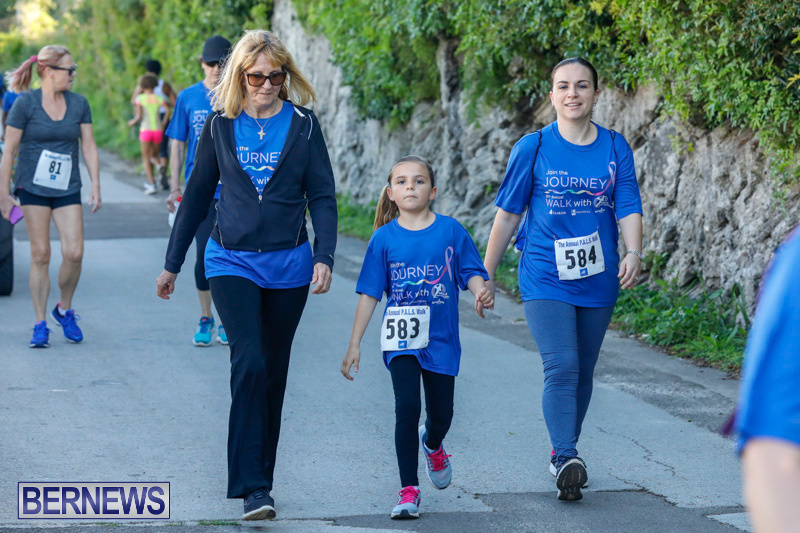 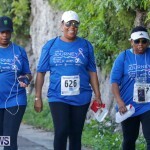 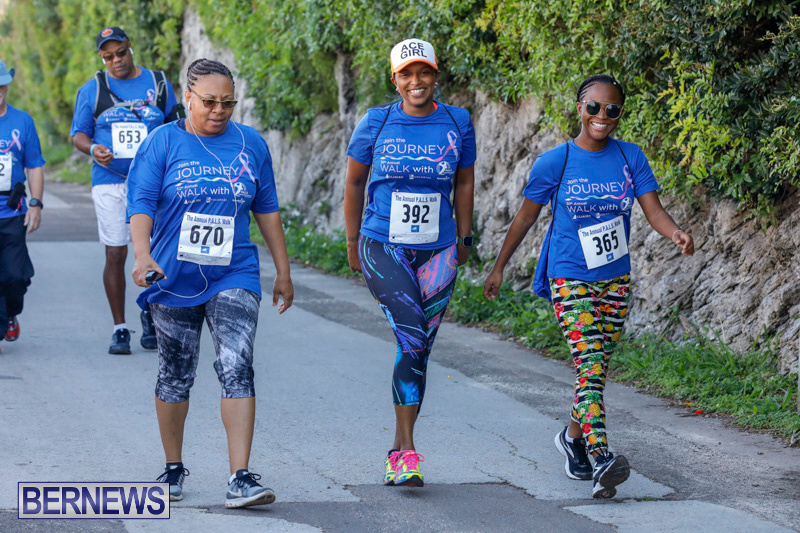 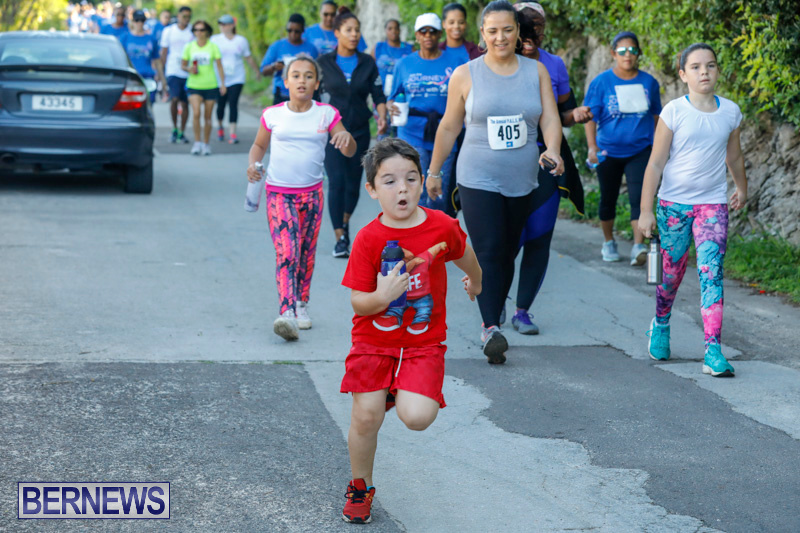 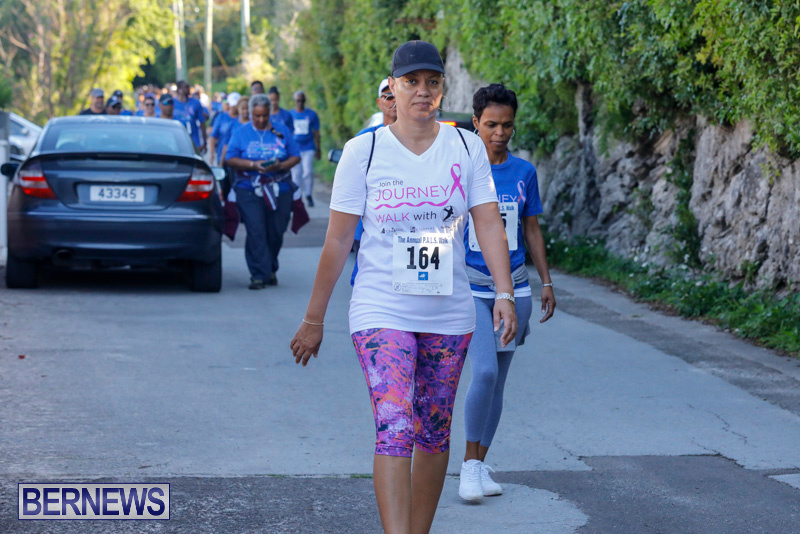 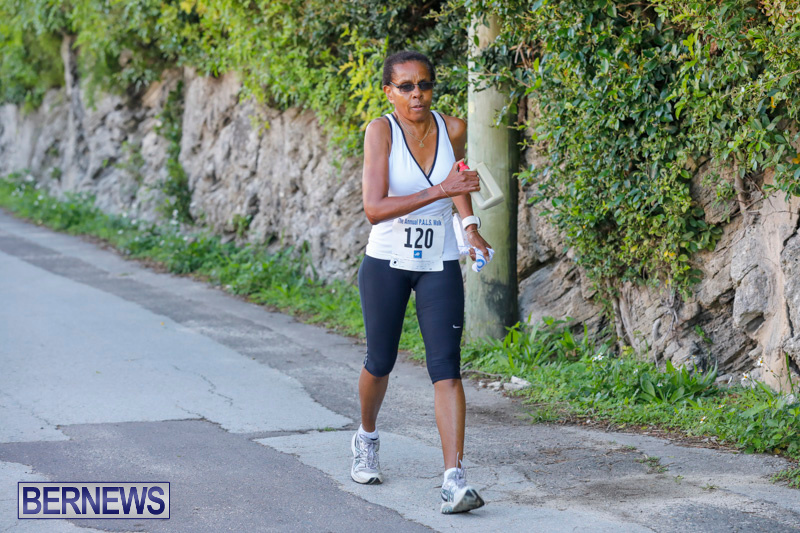 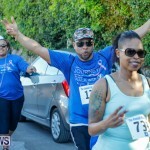 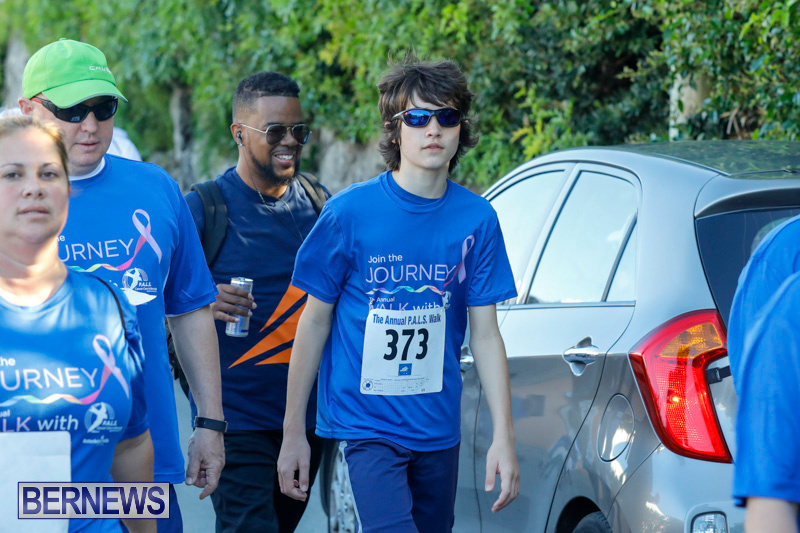 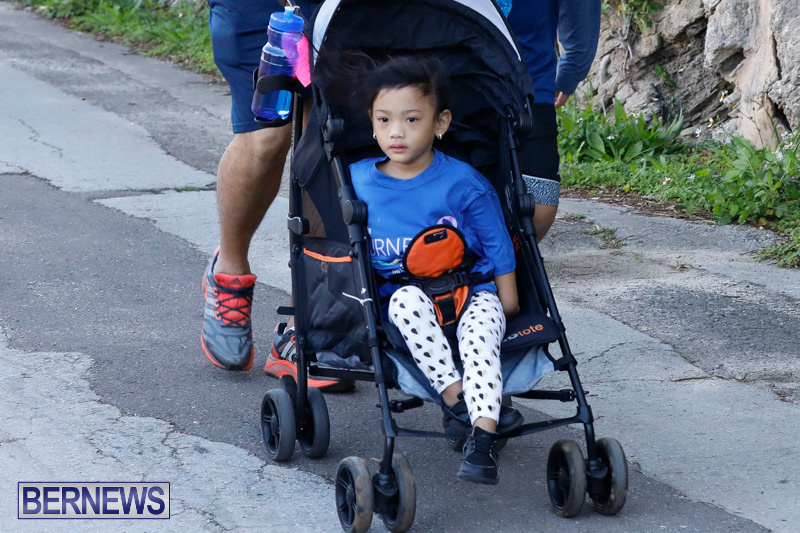 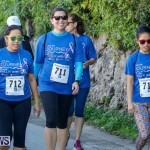 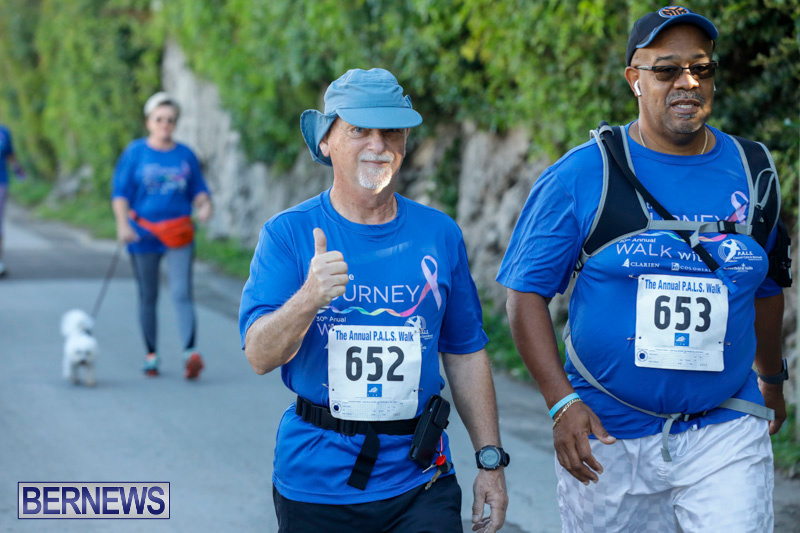 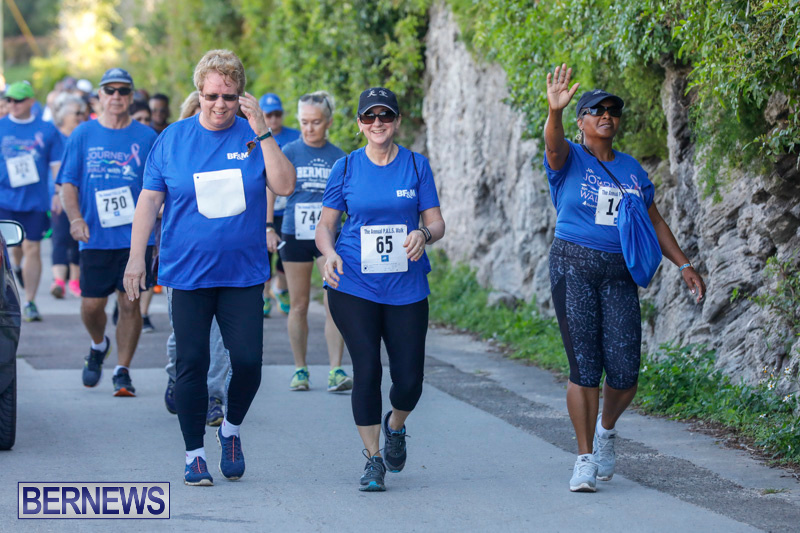 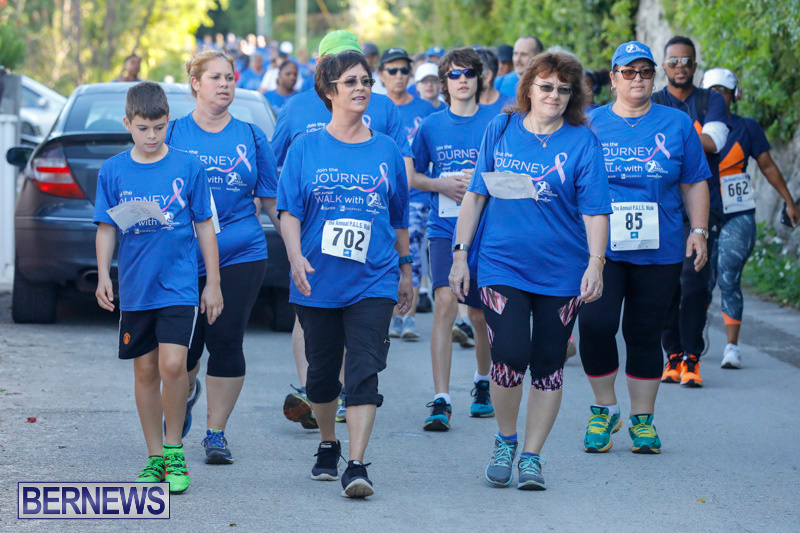 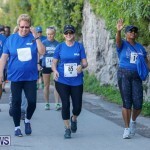 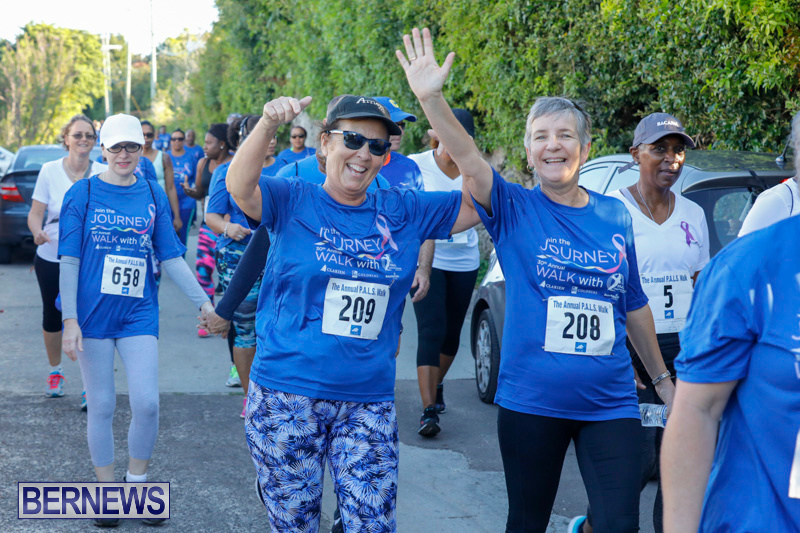 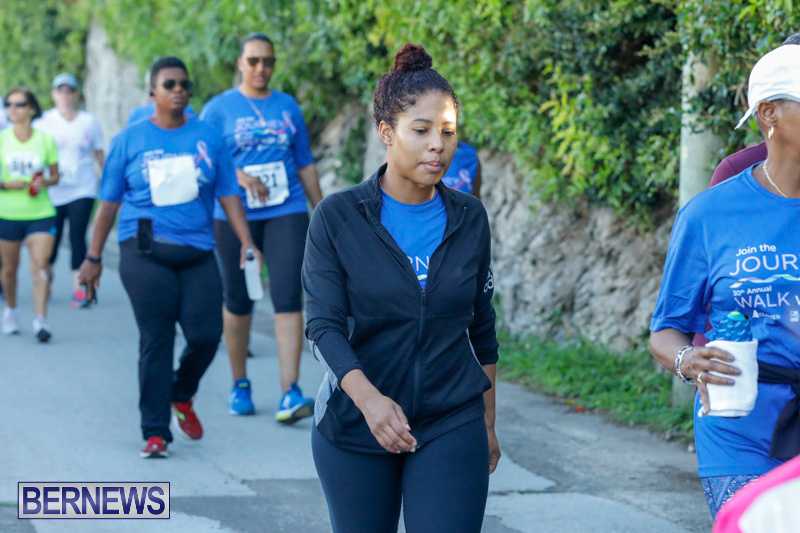 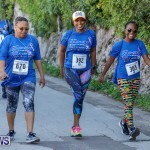 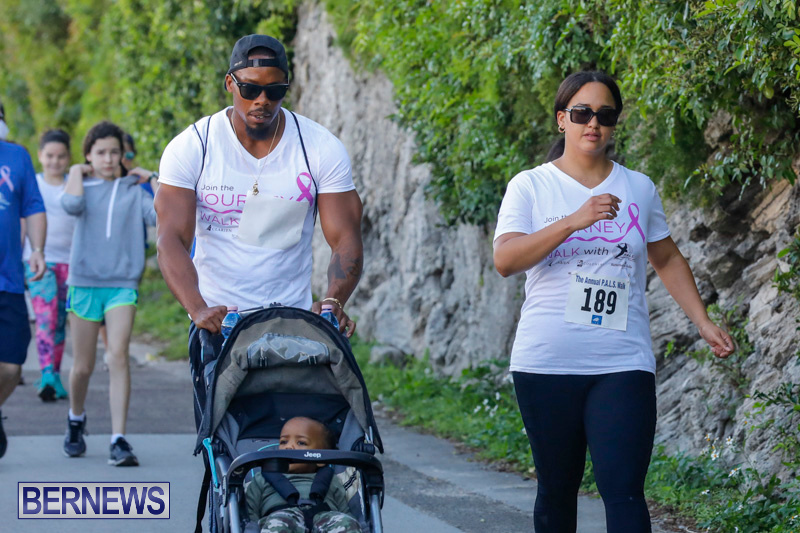 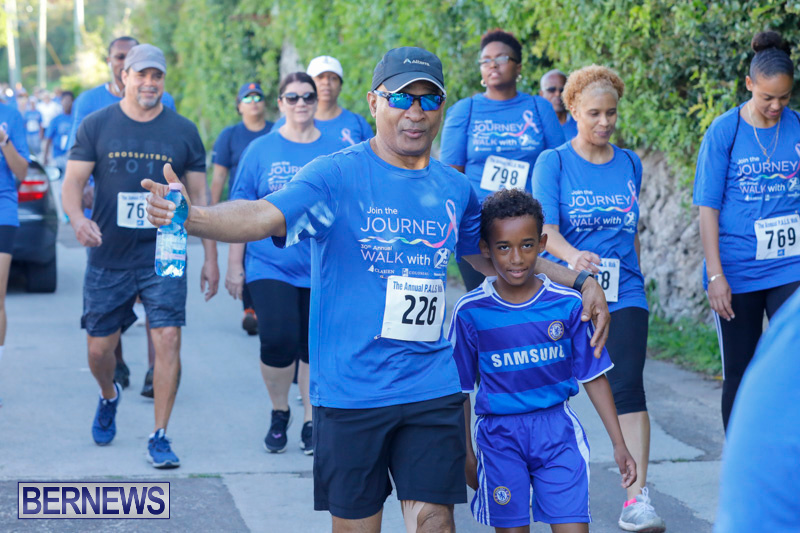 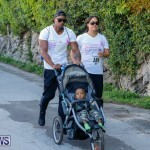 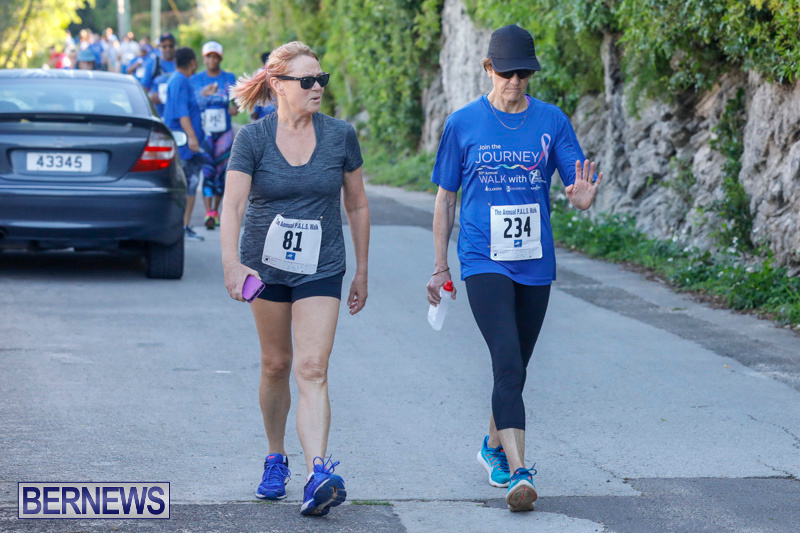 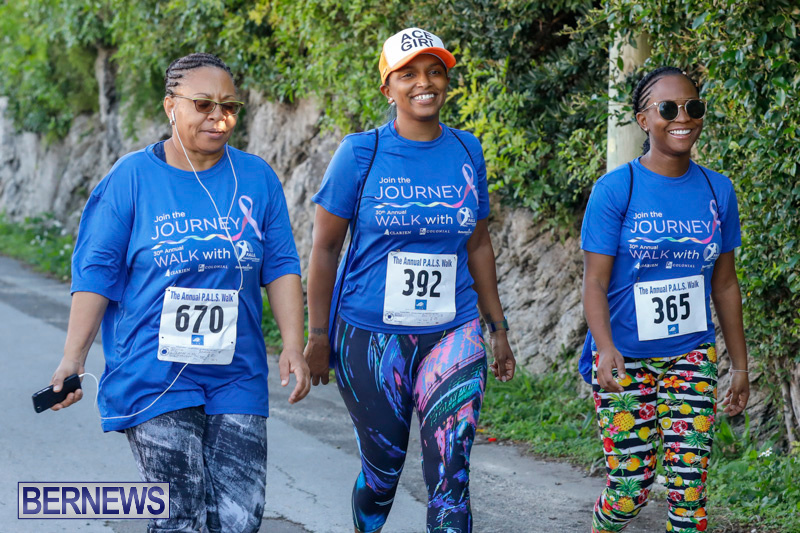 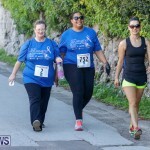 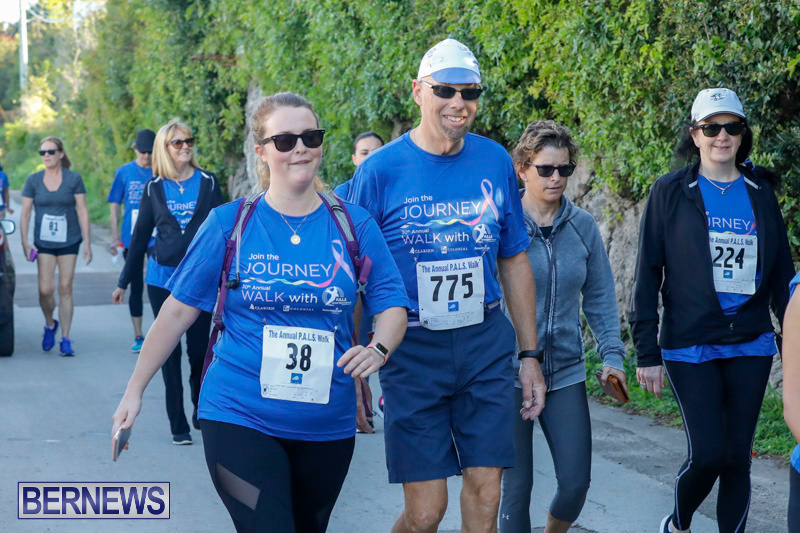 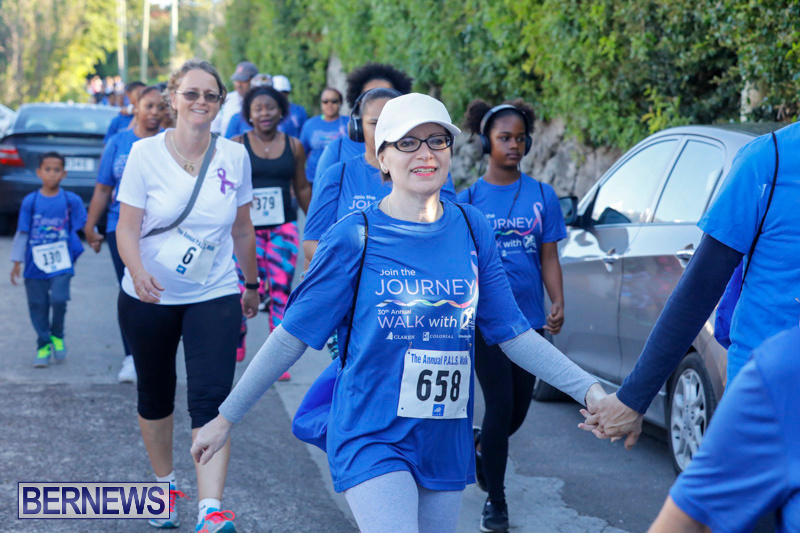 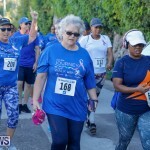 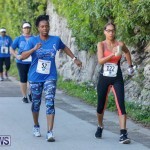 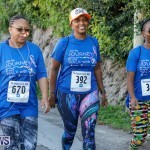 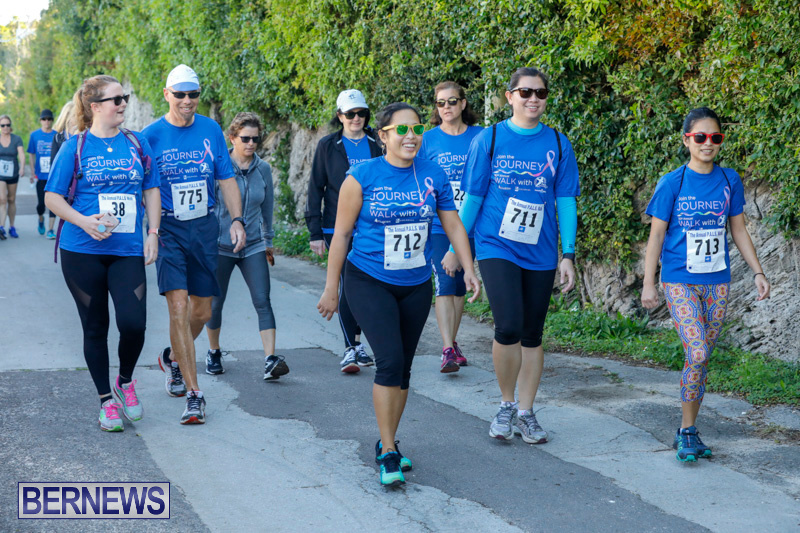 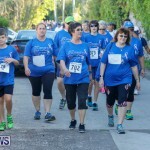 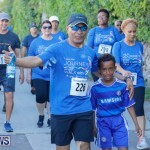 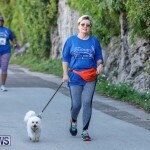 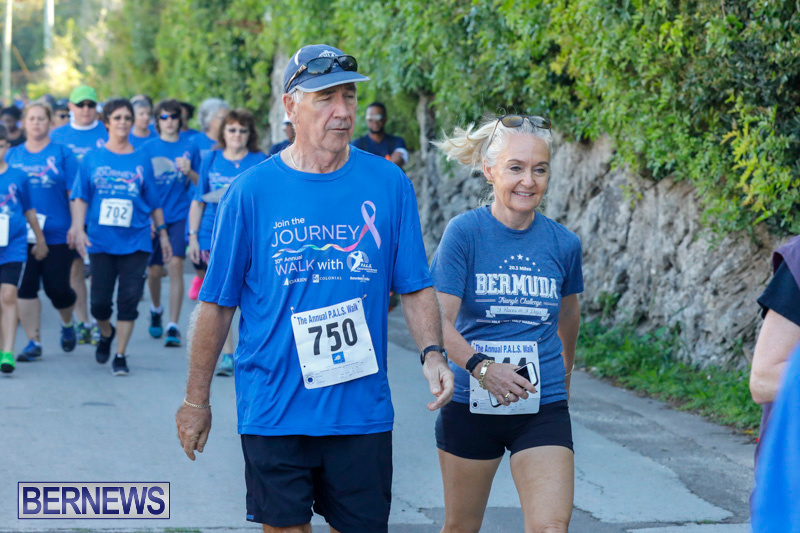 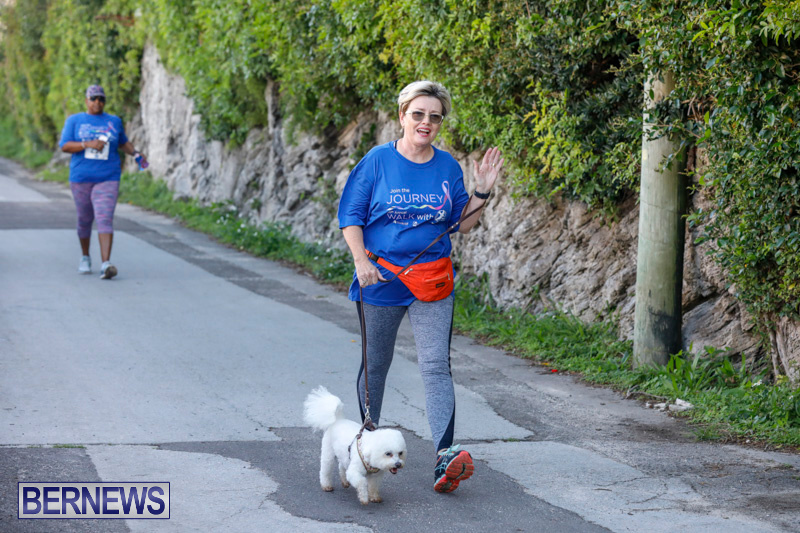 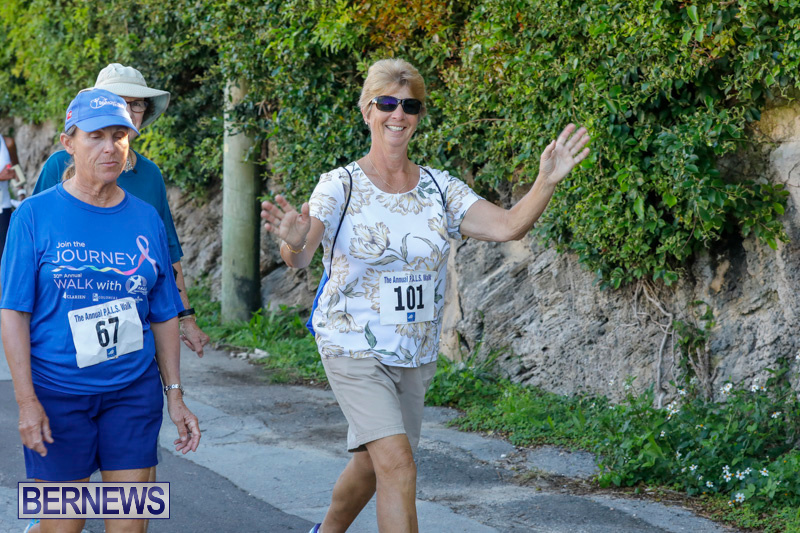 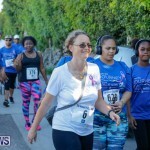 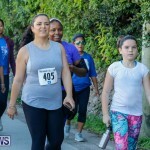 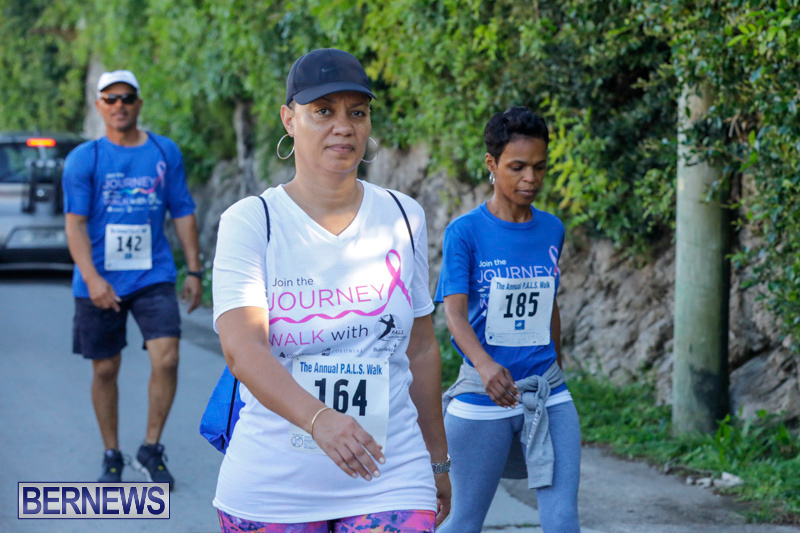 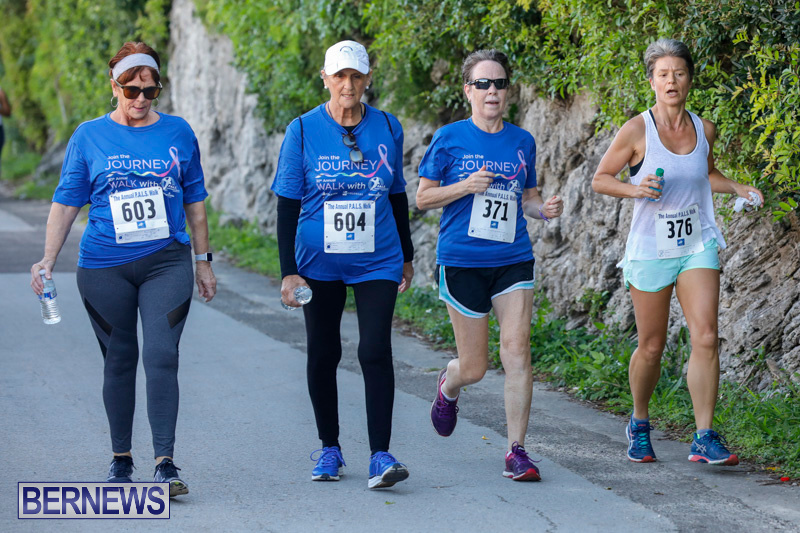 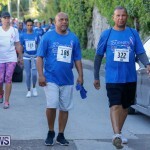 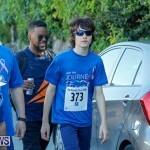 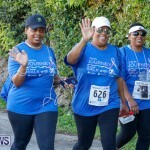 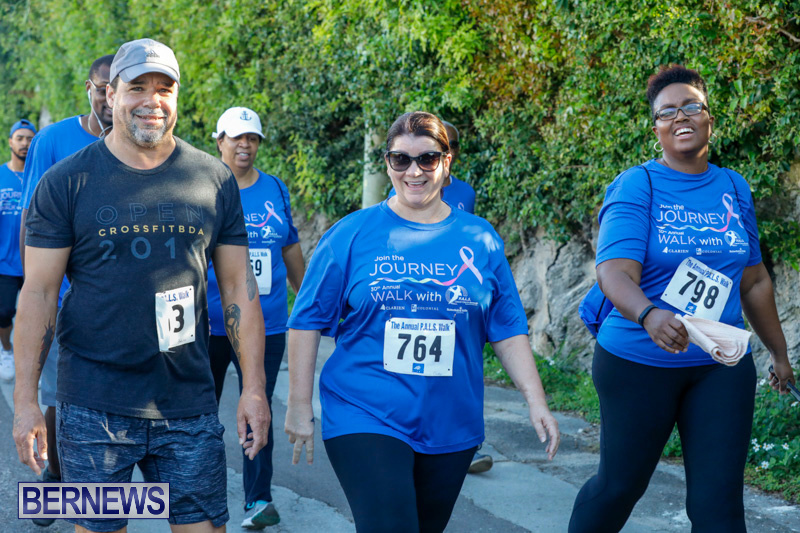 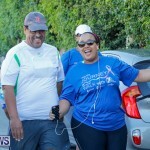 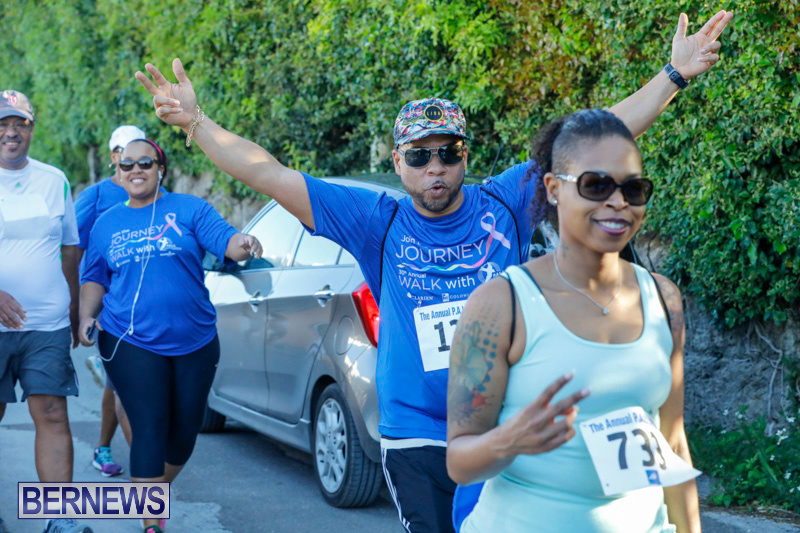 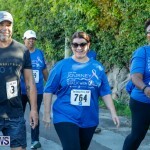 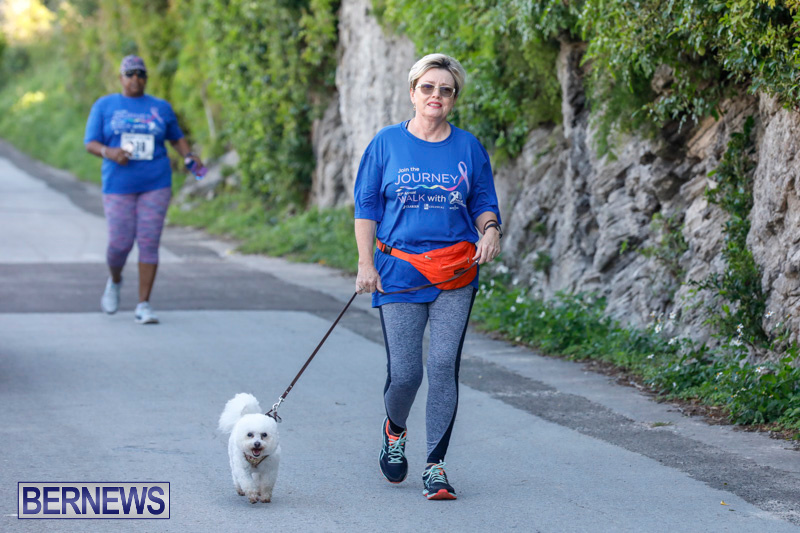 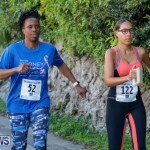 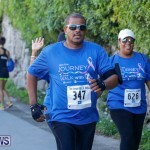 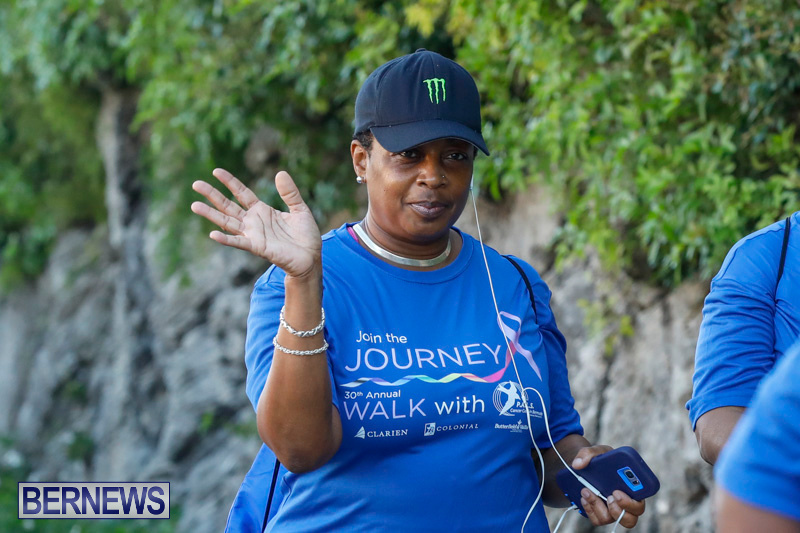 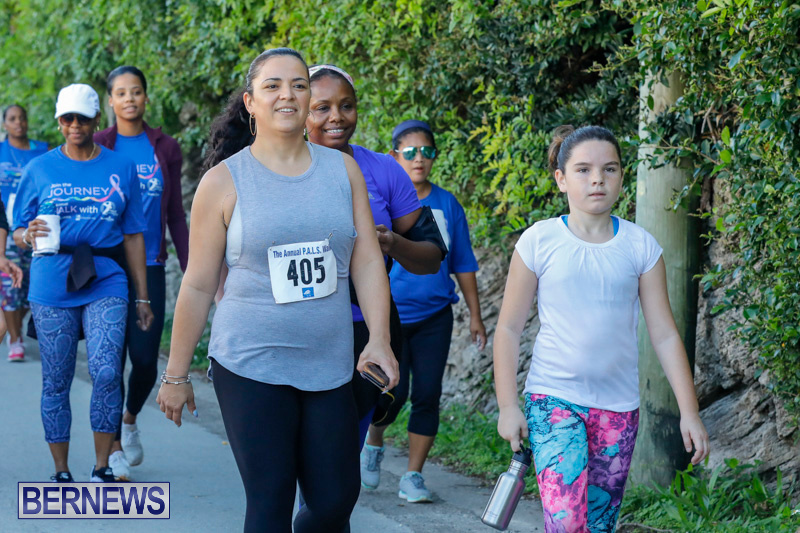 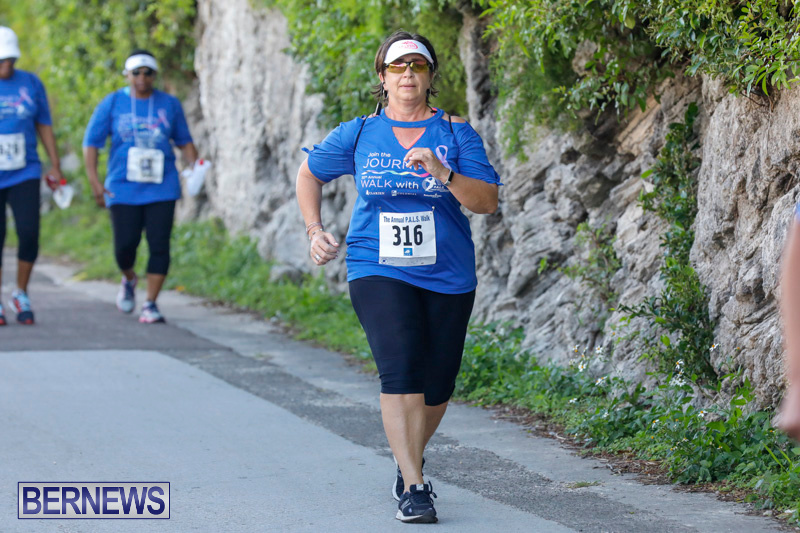 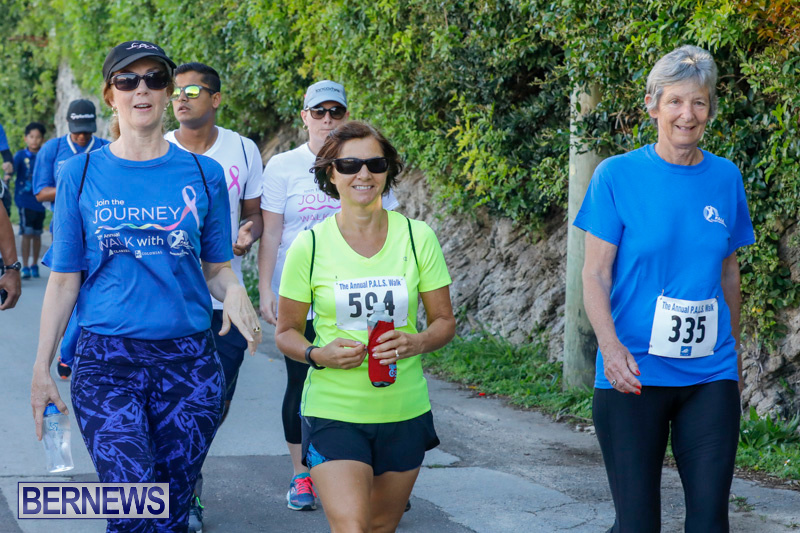 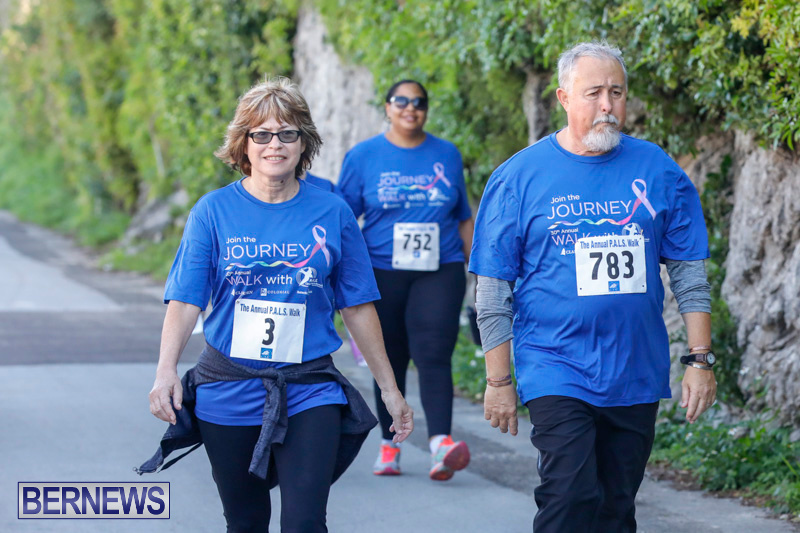 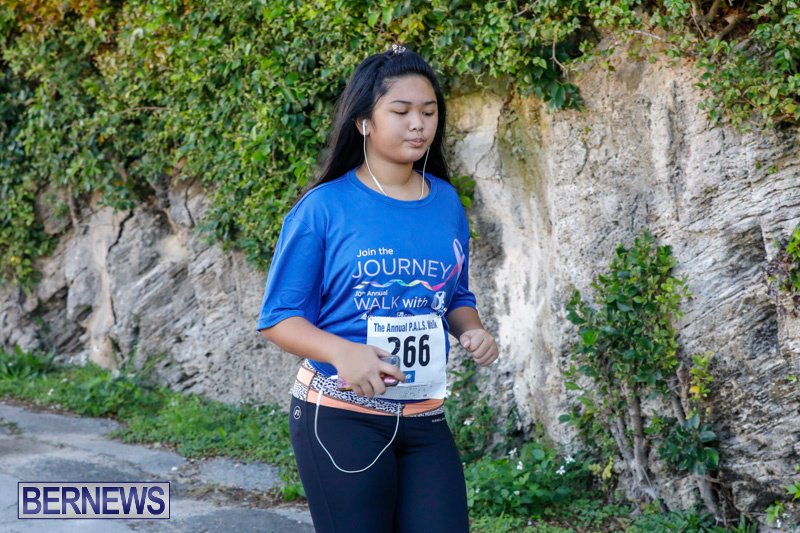 Cancer Care Sponsored Walk took place this morning [Feb 18], with the event serving to help raise money to support patient cancer care in Bermuda. 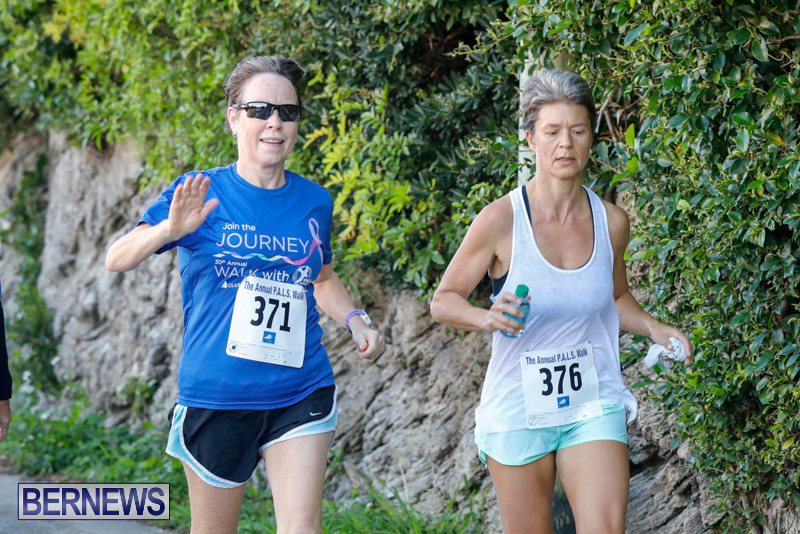 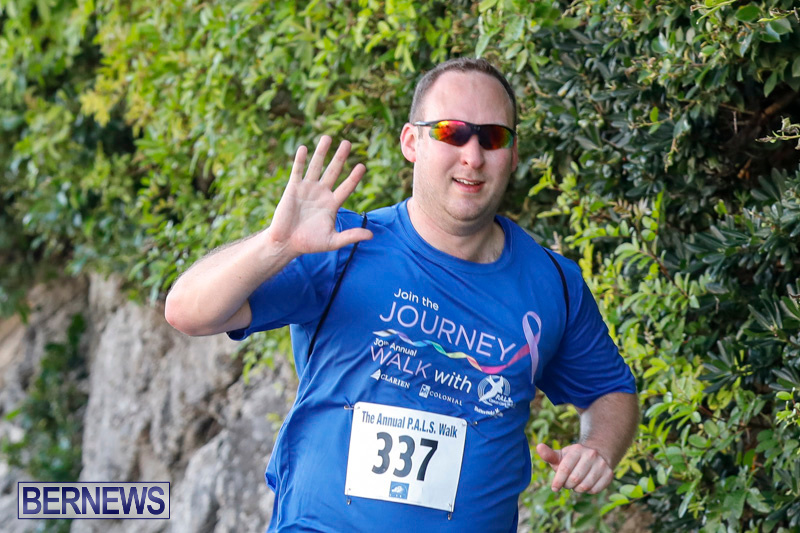 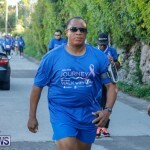 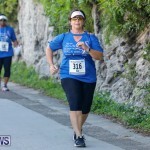 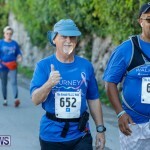 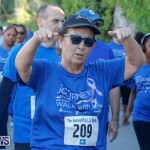 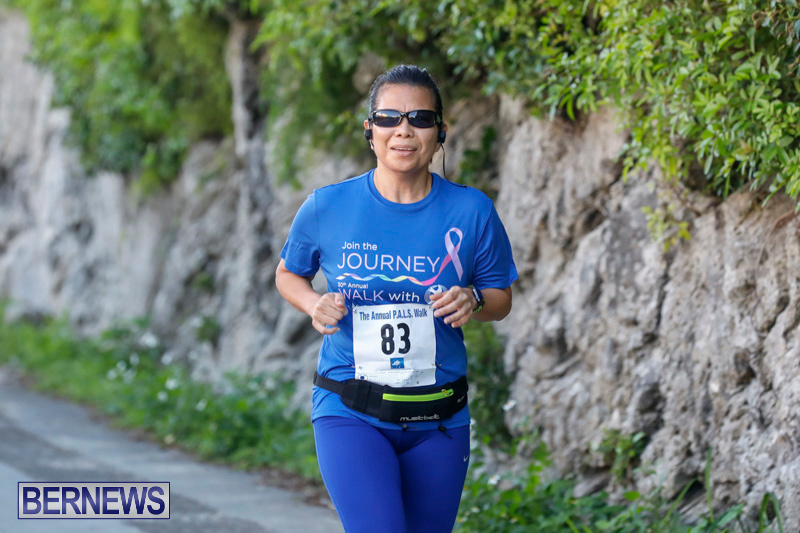 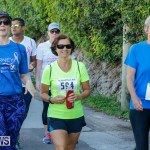 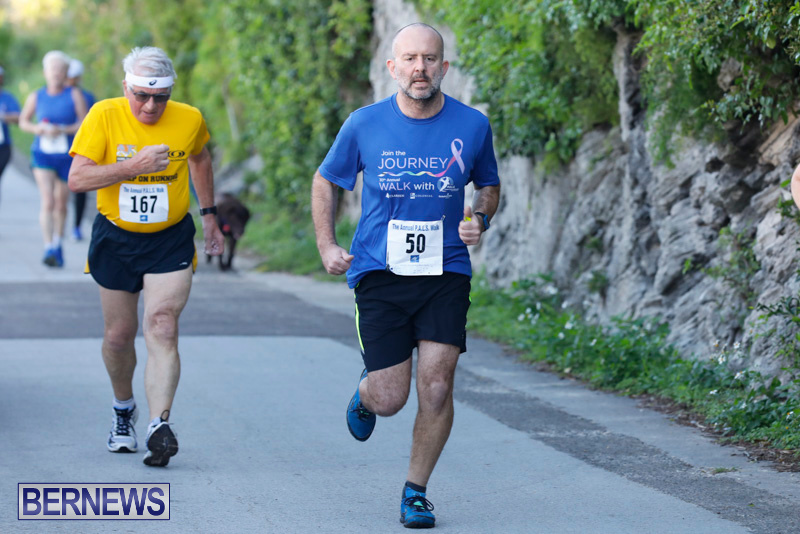 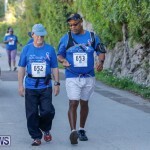 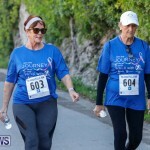 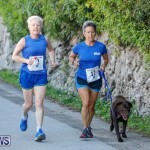 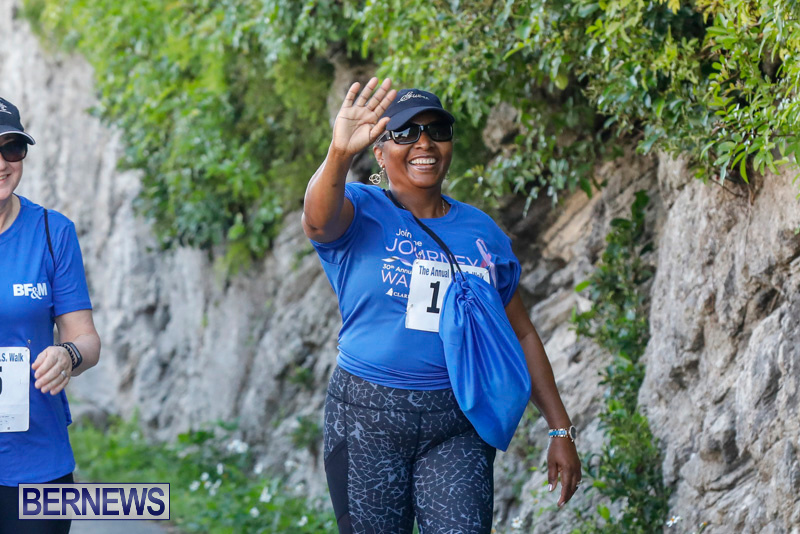 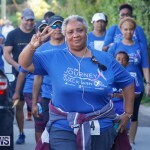 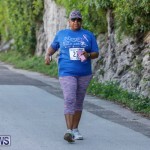 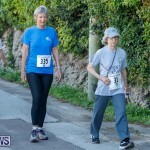 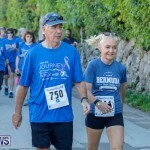 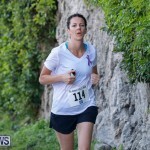 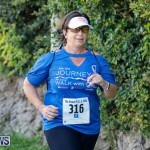 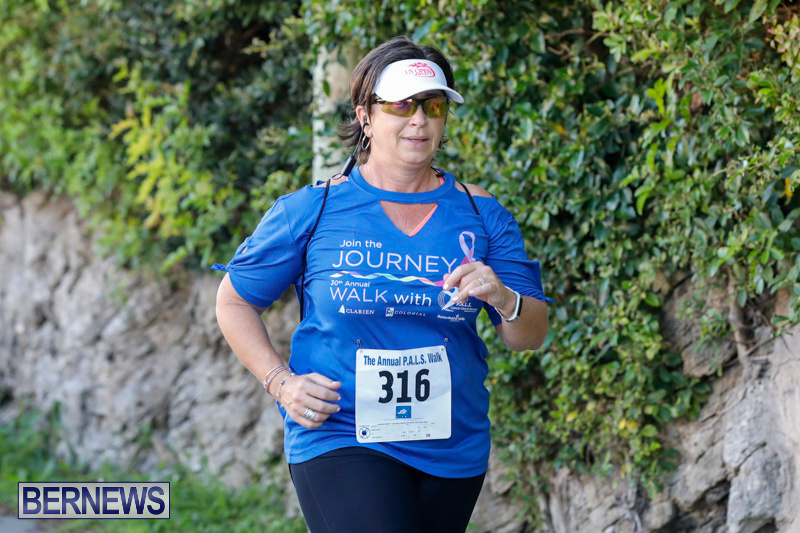 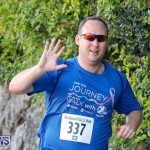 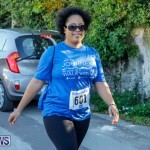 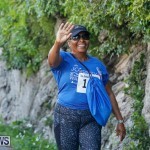 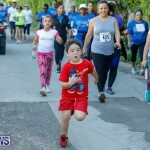 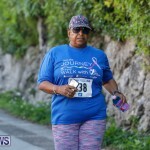 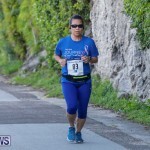 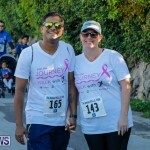 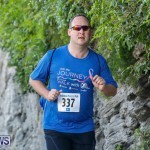 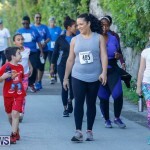 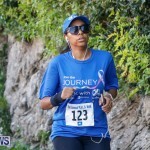 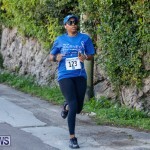 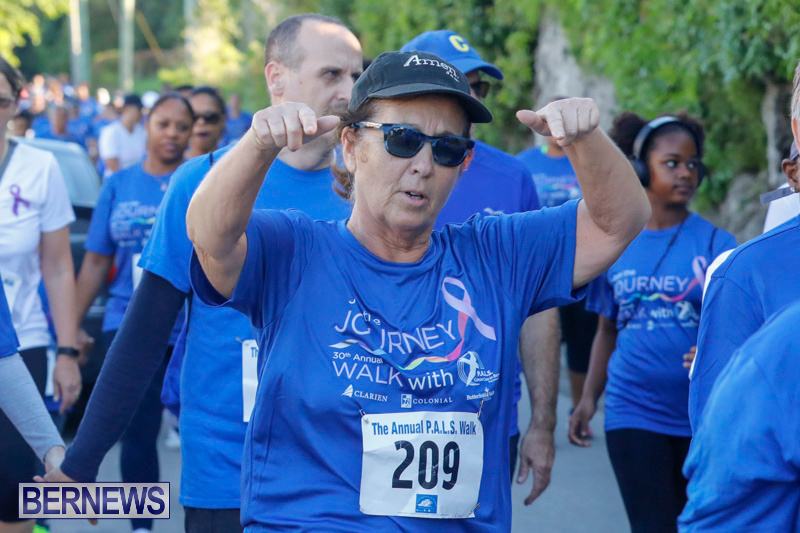 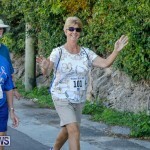 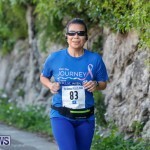 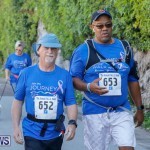 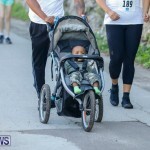 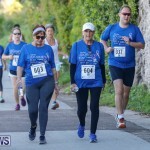 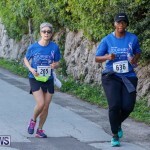 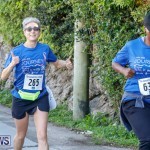 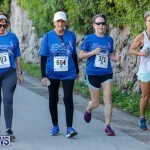 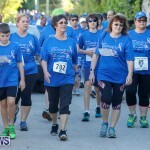 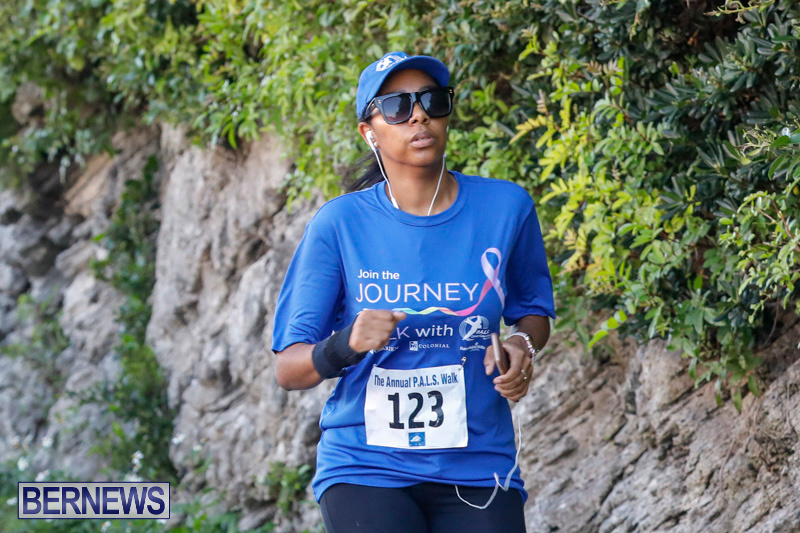 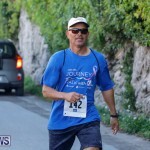 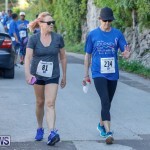 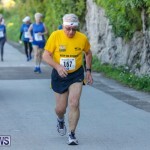 “This is our major annual fundraiser, with contributed funds donated to medical care, equipment and supplies for cancer patients in Bermuda,” P.A.L.S. 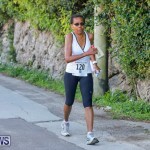 previously said. 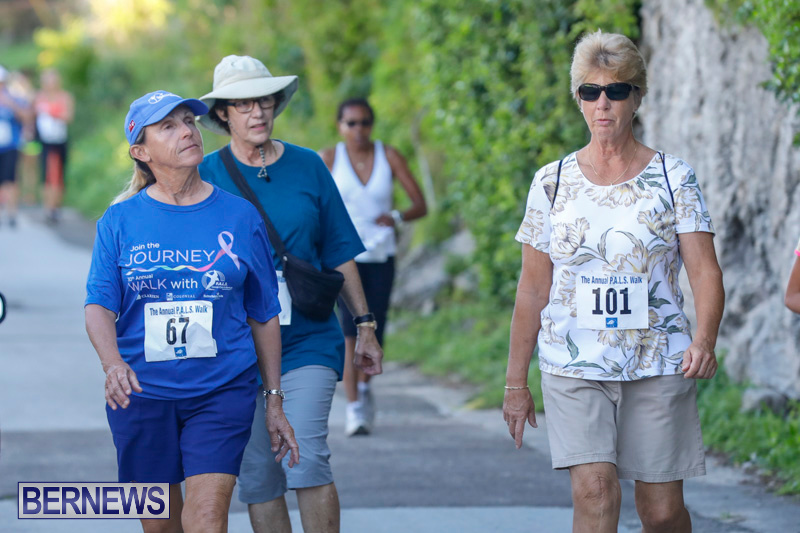 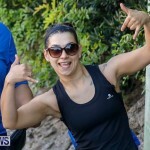 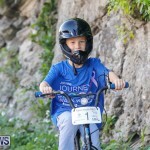 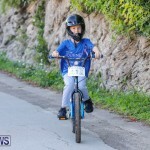 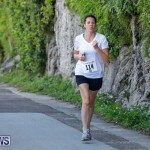 “Last year’s event attracted 600 participants and raised more than $35,000. 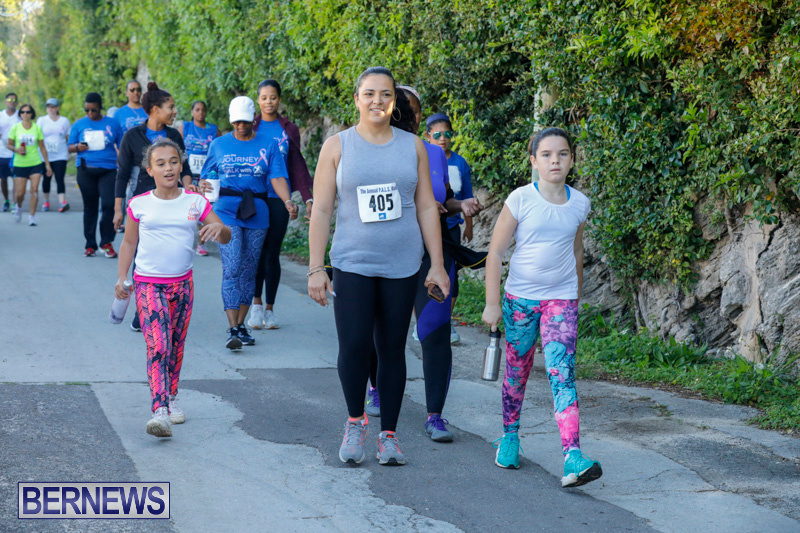 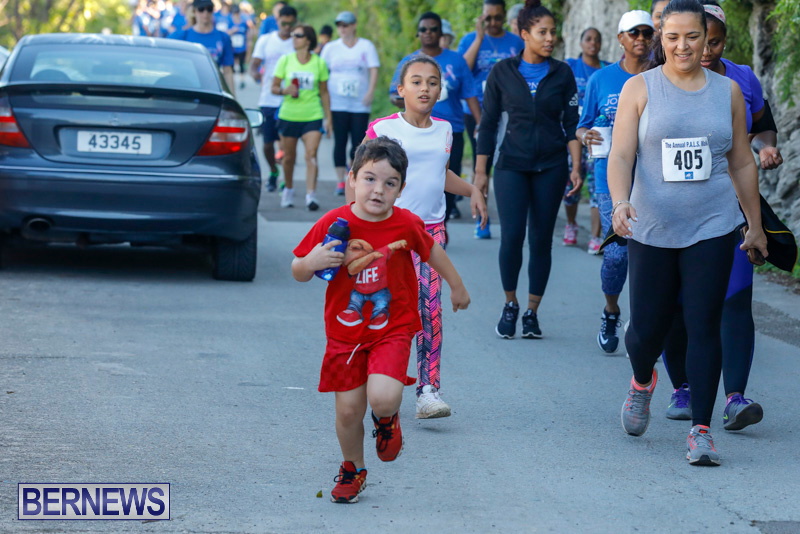 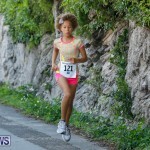 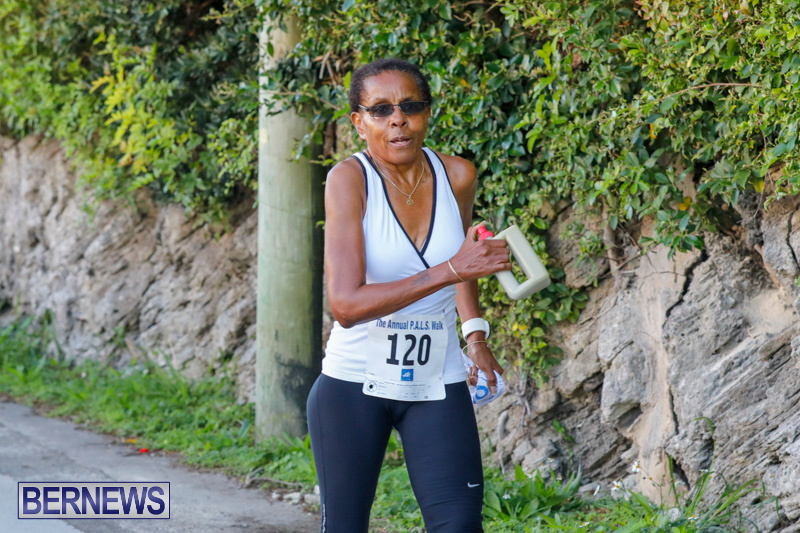 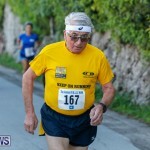 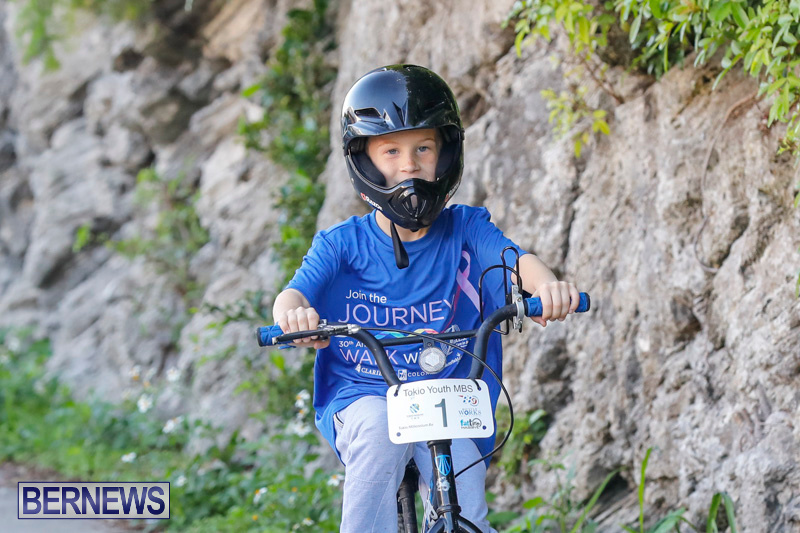 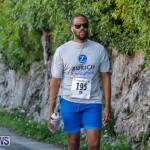 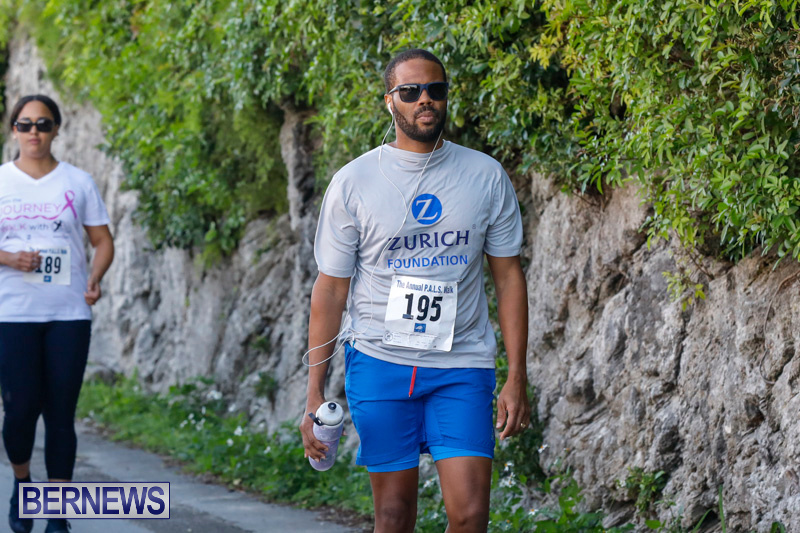 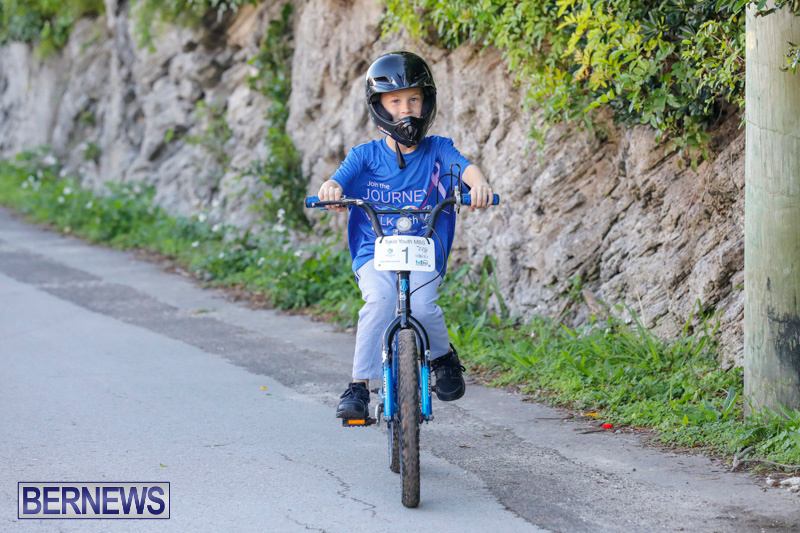 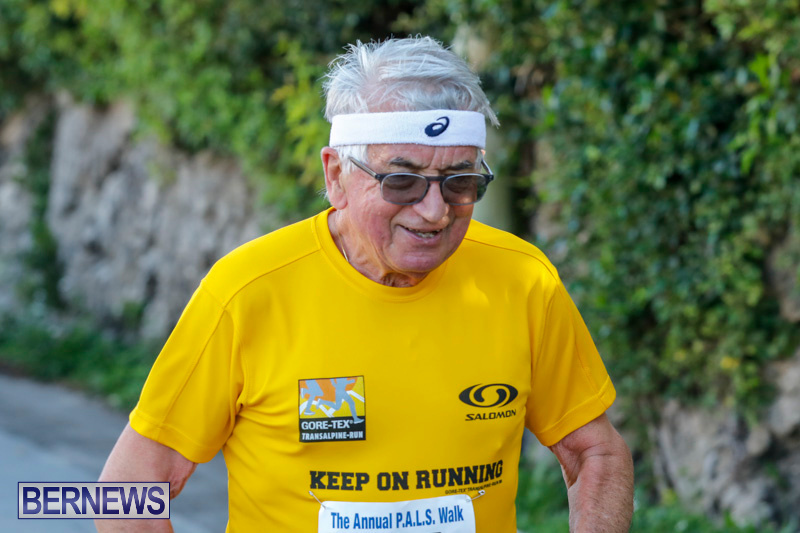 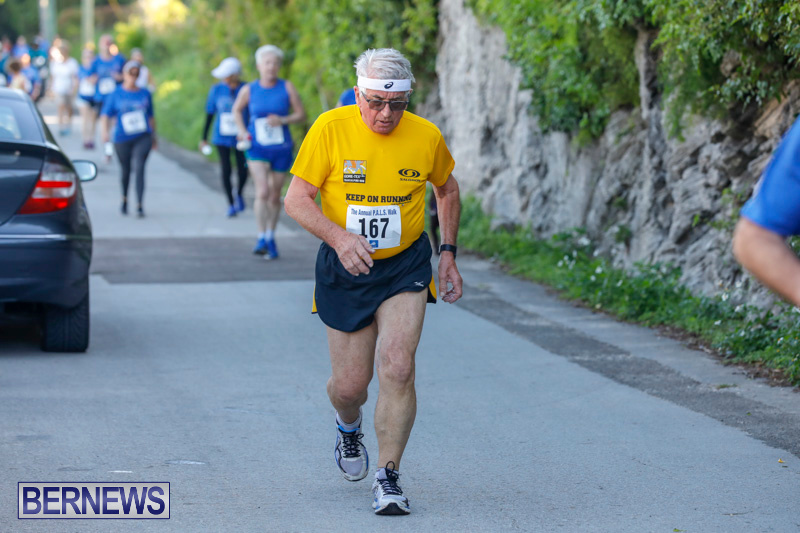 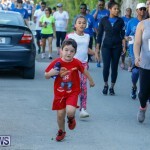 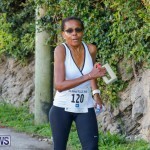 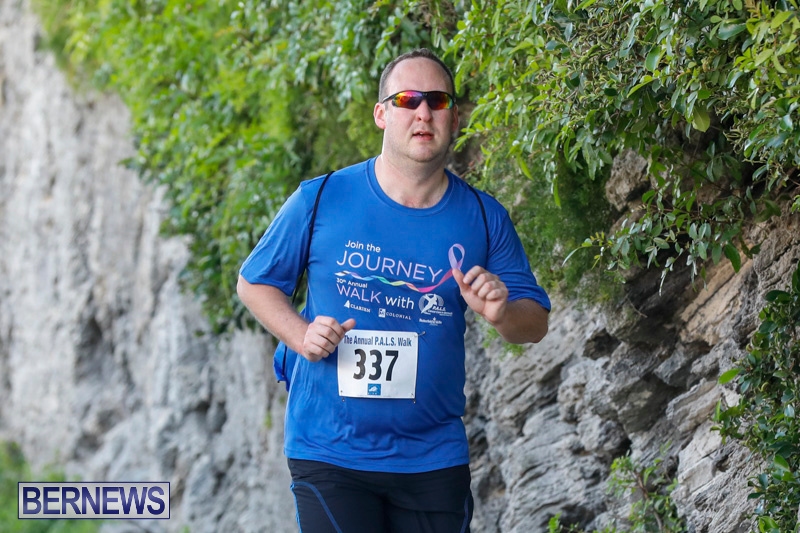 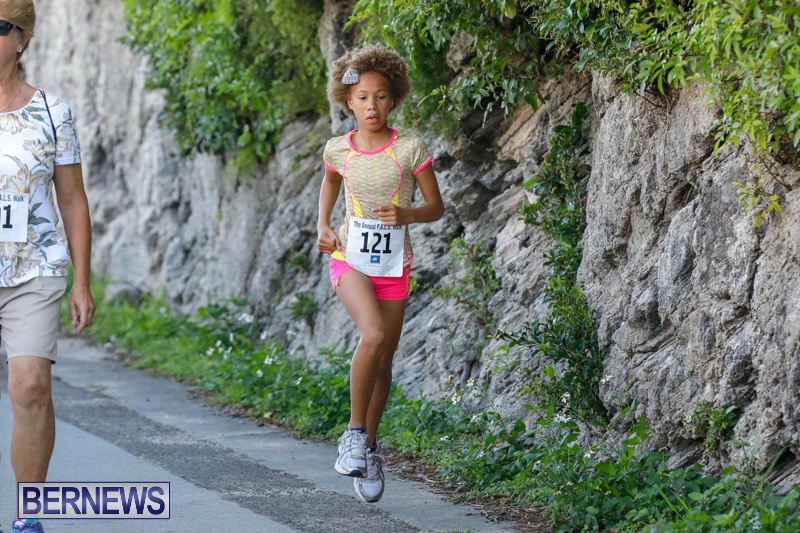 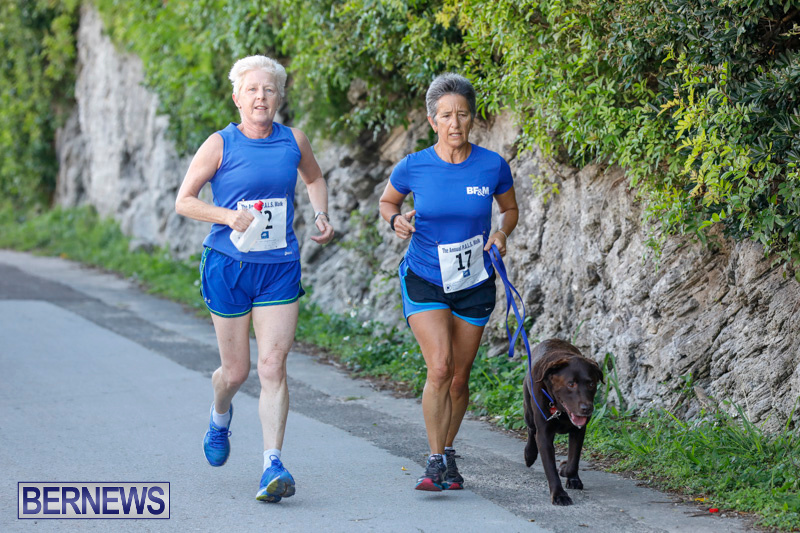 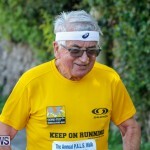 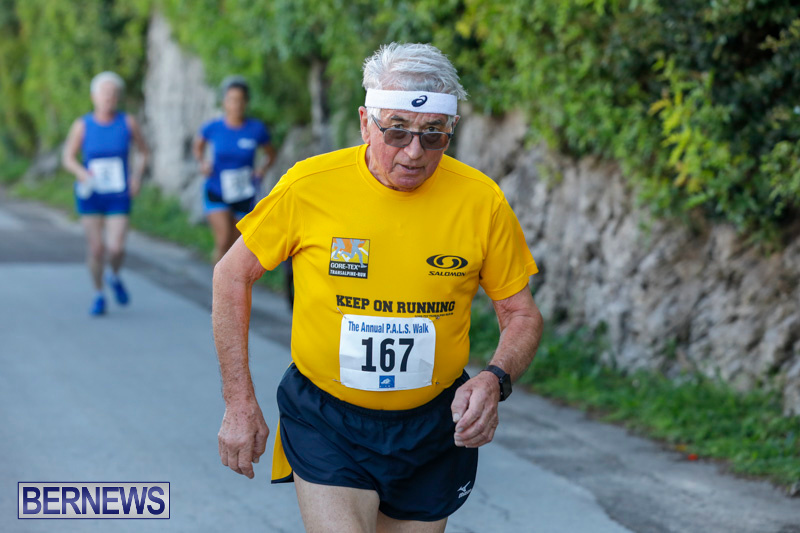 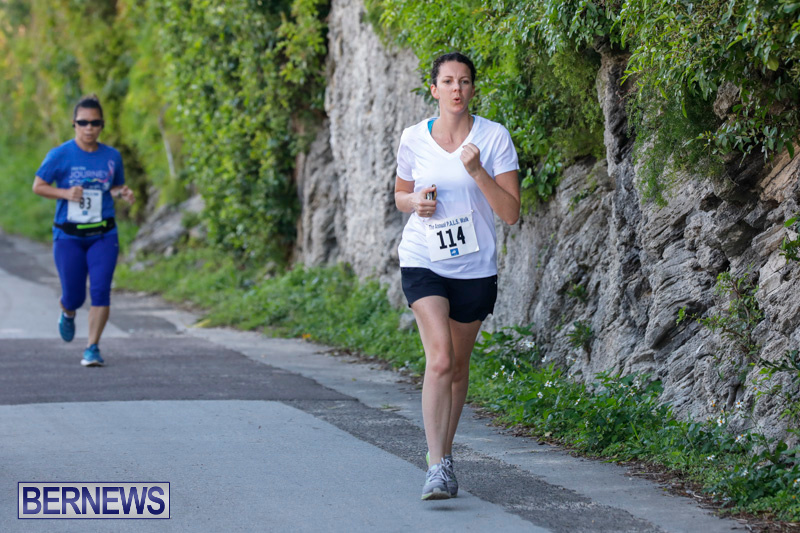 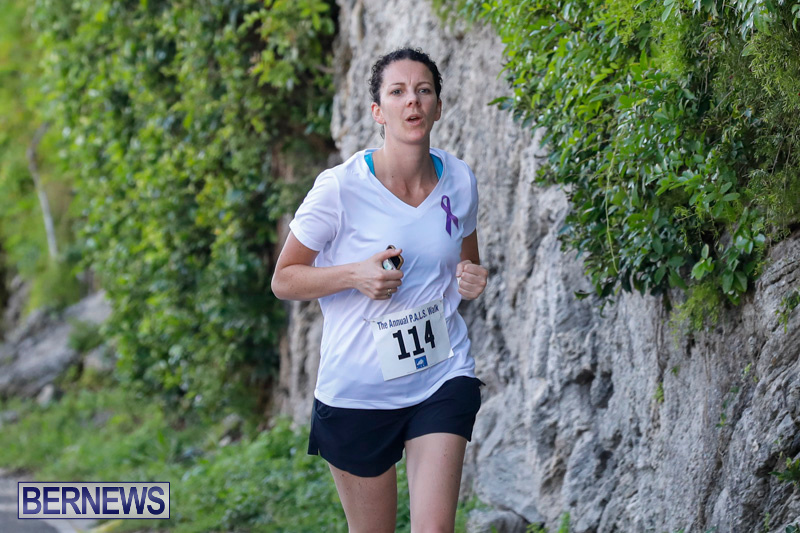 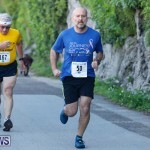 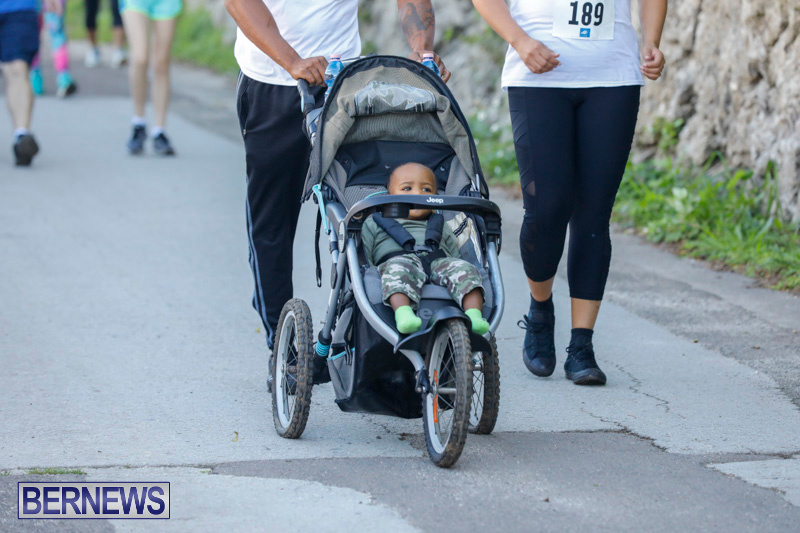 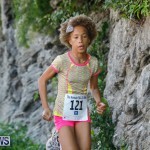 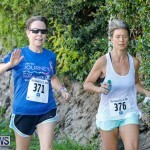 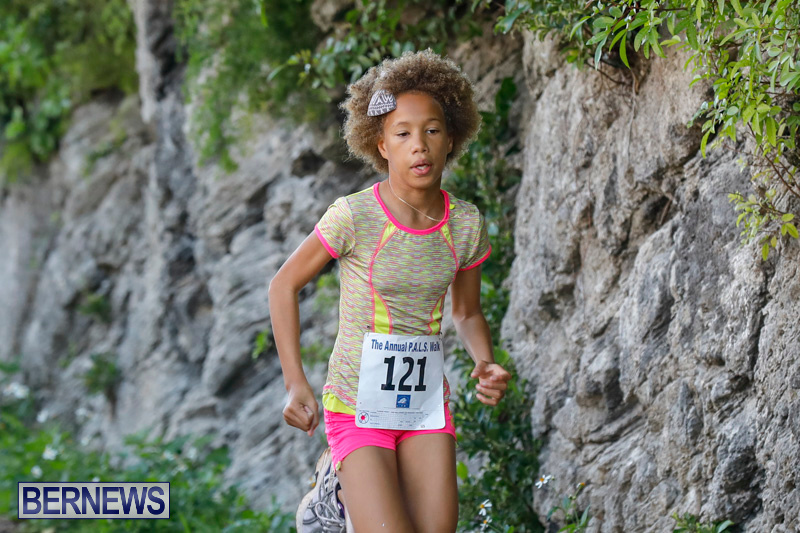 The event, which is sponsored by Clarien Bank, Colonial Insurance, Butterfield & Vallis and Europa Imports, features three distance options – 3K, 5K or 10K – to suit walkers of all ages and abilities. 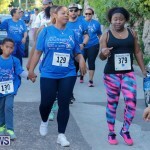 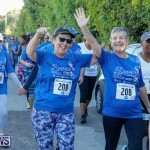 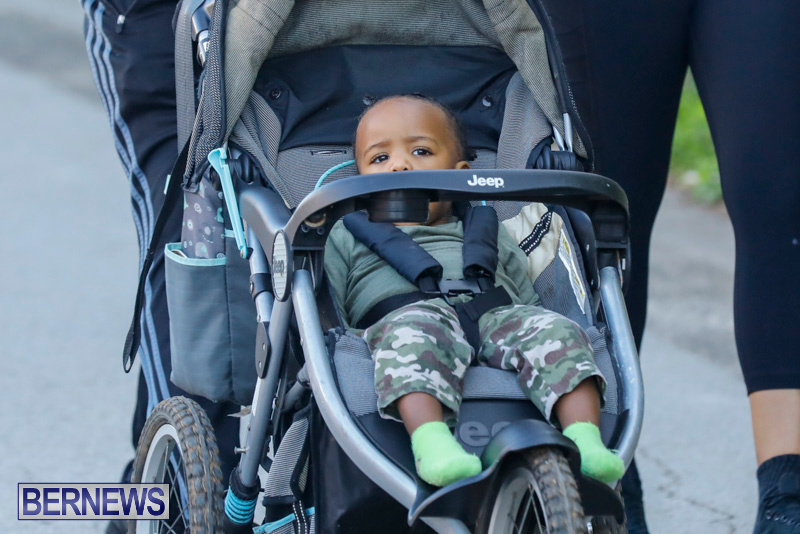 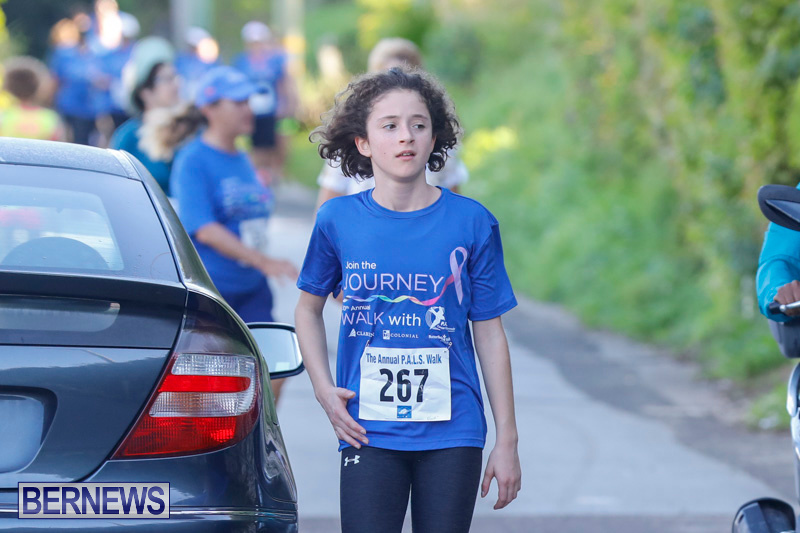 The walk starts and finishes at P.A.L.S. 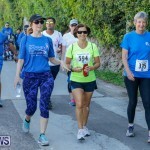 Headquarters at 18 Point Finger Road, Paget, with all routes following the scenic Railway Trail.